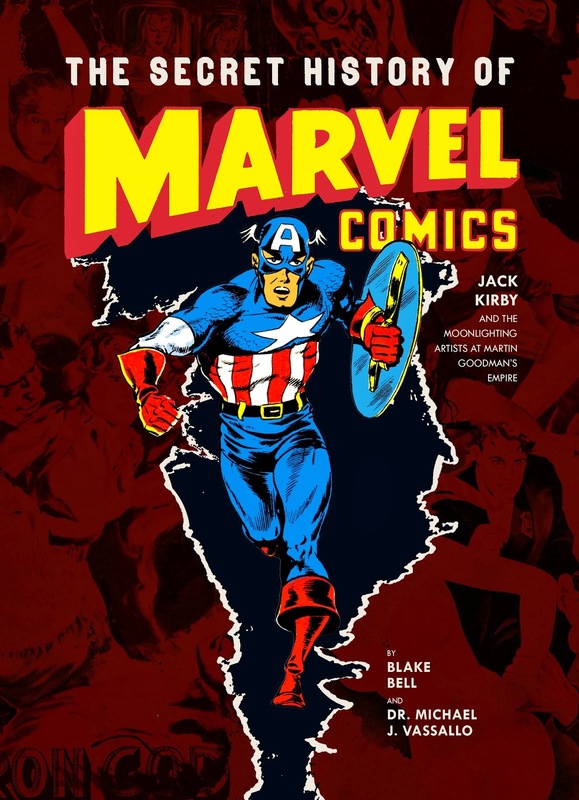 Very interesting and complete overview. I agree ont the early tories. 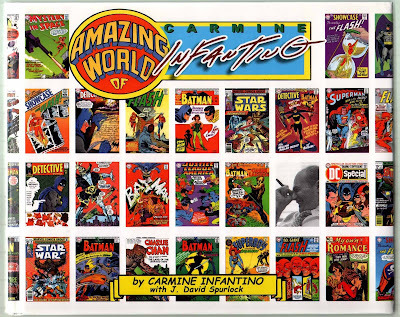 I see no Infantino there, no connection to his other work at the time. You could ave mentioned that the silhouetted skyline was the reason for some to attribute some of these to Infantino. 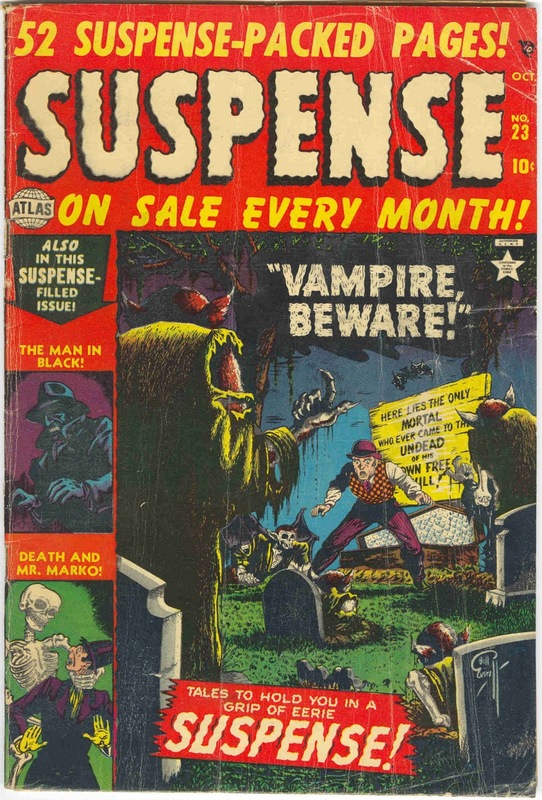 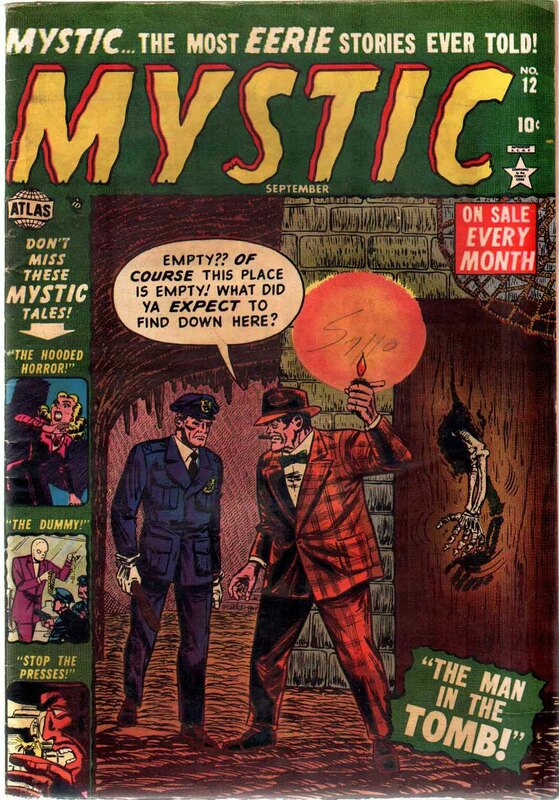 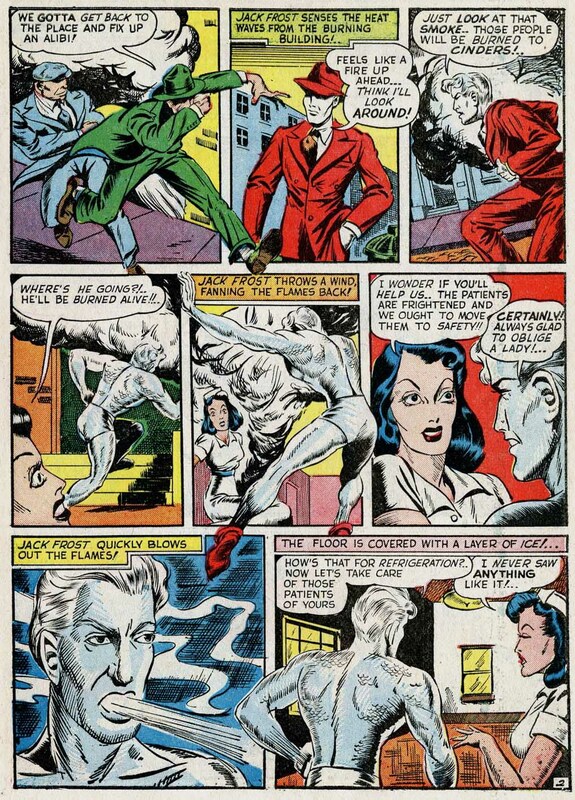 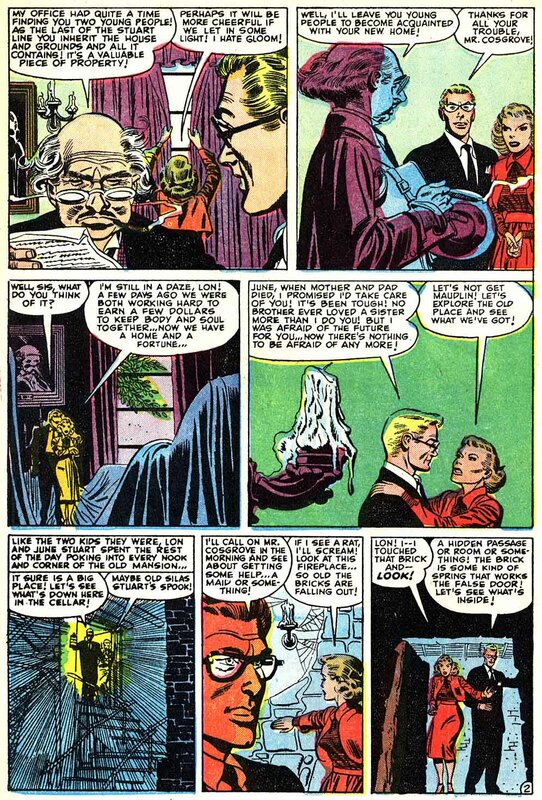 If the Vampire story was by Stan Lee... 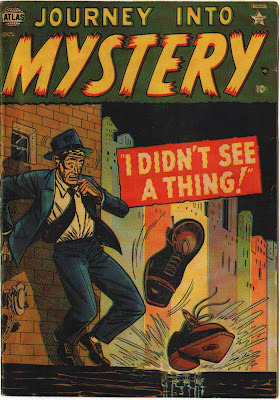 I think so. 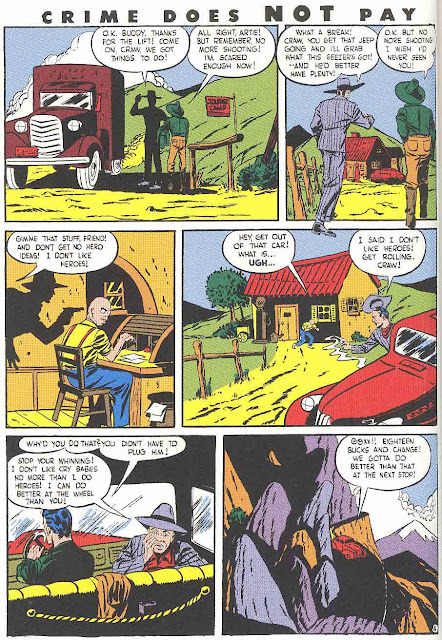 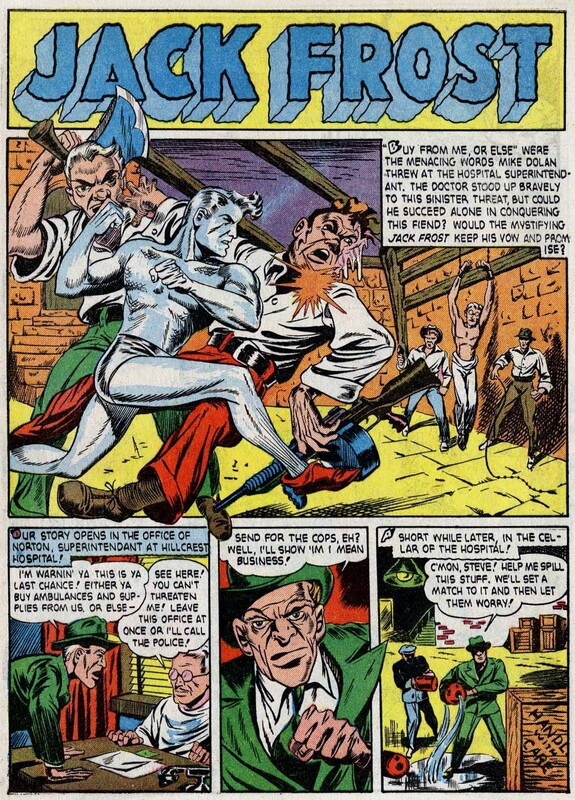 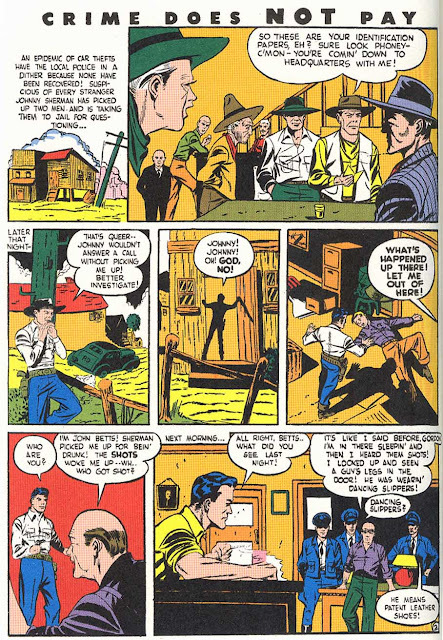 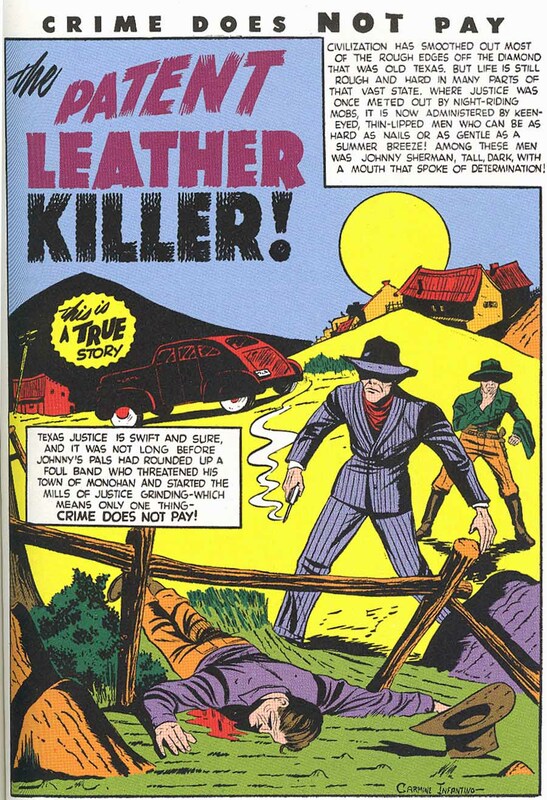 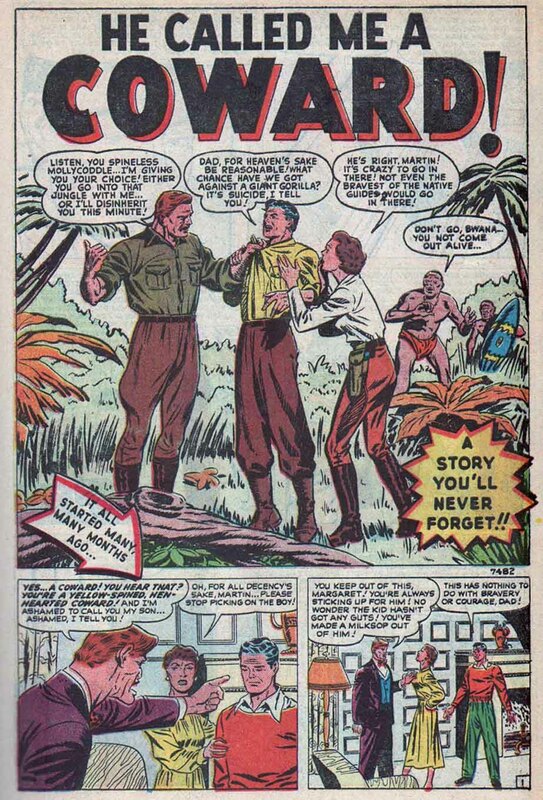 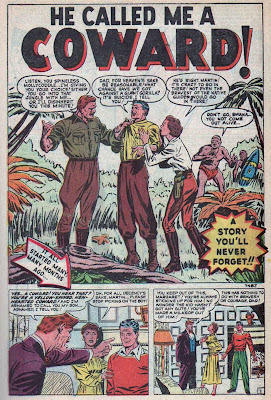 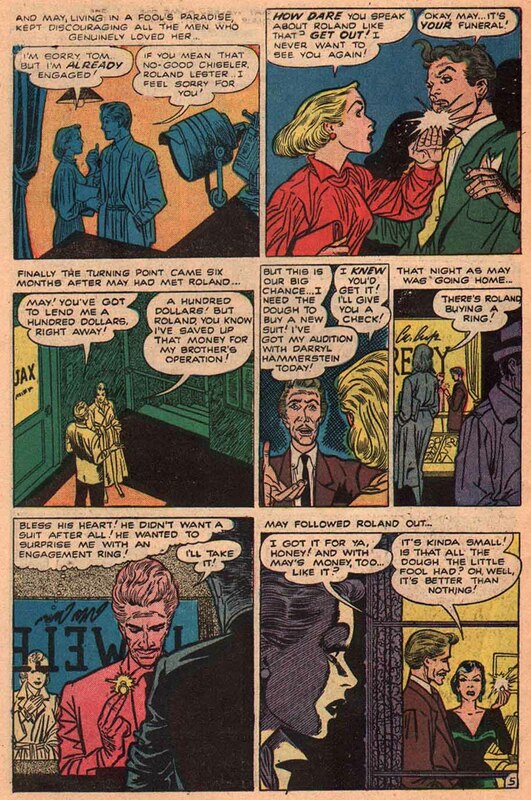 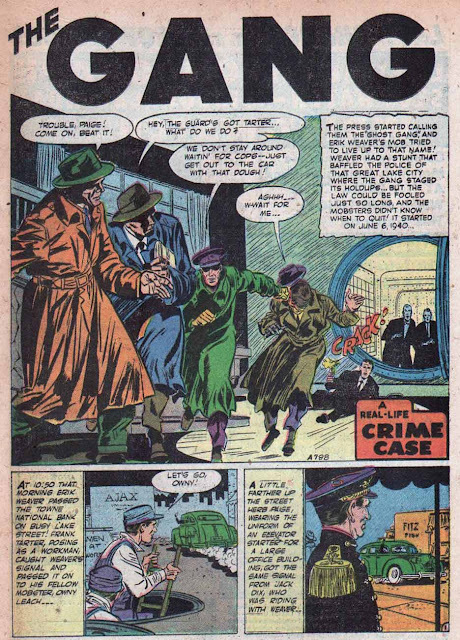 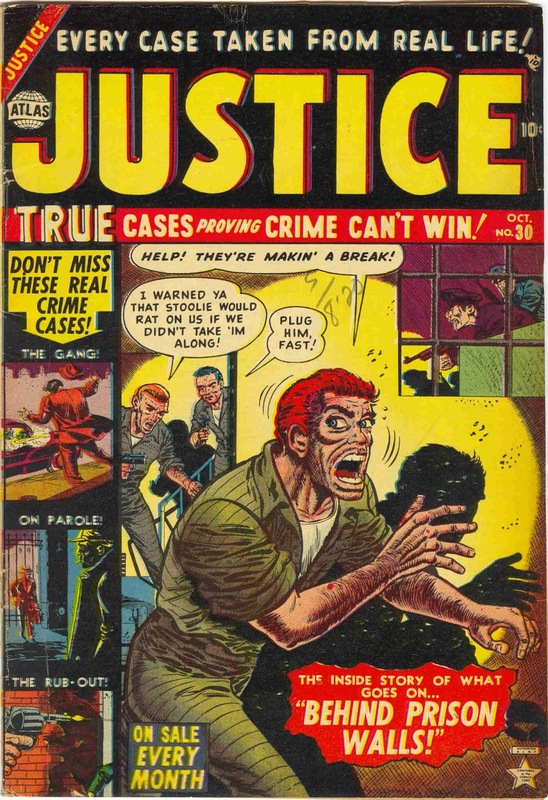 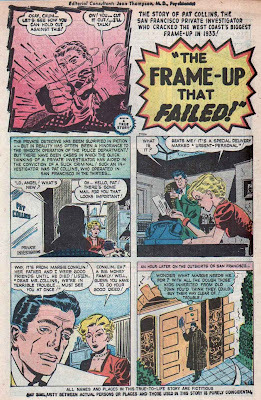 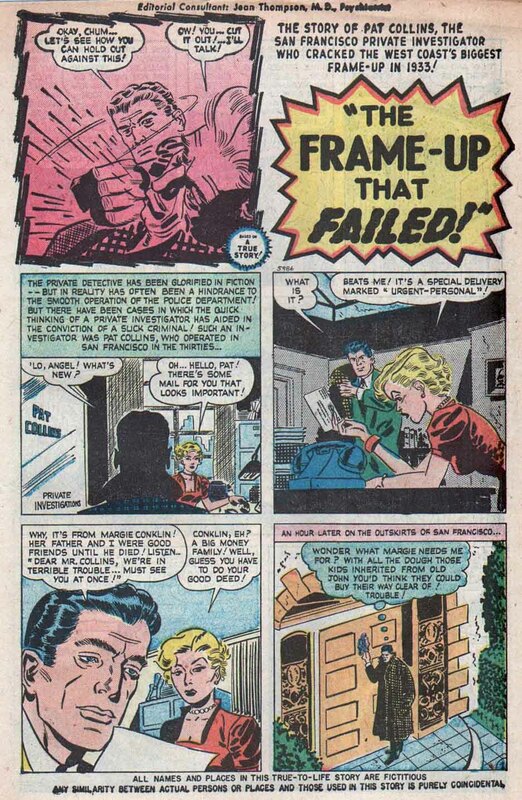 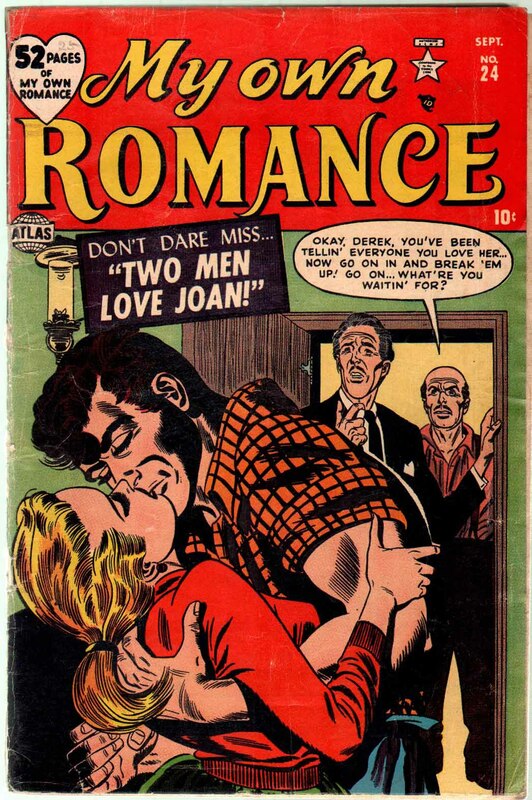 Argument against: it starts wit a flash forward splash, which Lee rarely used in the fifties and the fact that there is no slang, which Stan Lee managed to include in almost every story he wrote (especially the westerns). Argument in favor: the tone of the story, the use of thru instead of through and the fact that it is seven pages. No one got to do seven pages in Stan's books, except Stan himself. 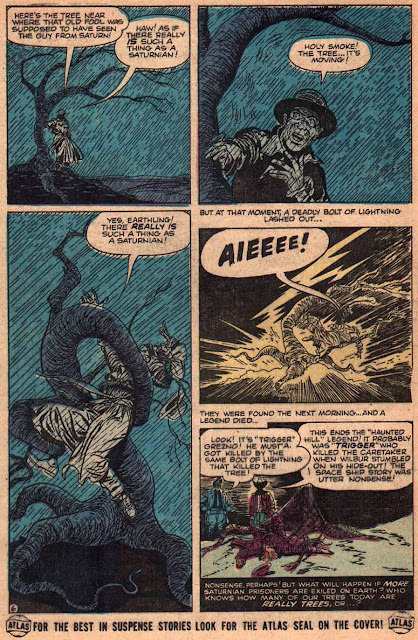 There also is a 'silent' sequence with running commentary - which Lee was fond of using (and whoch he could only do because he gave himself an extra page). 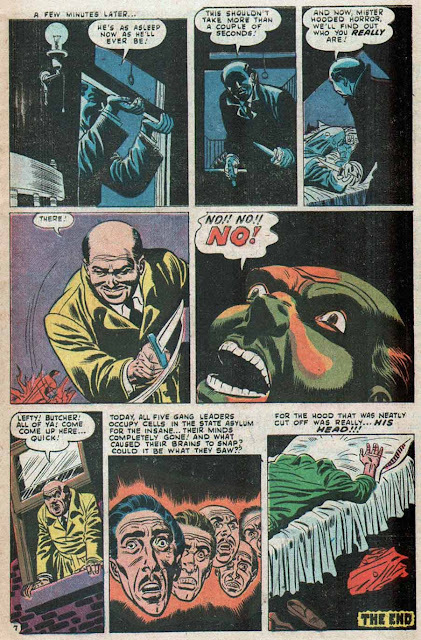 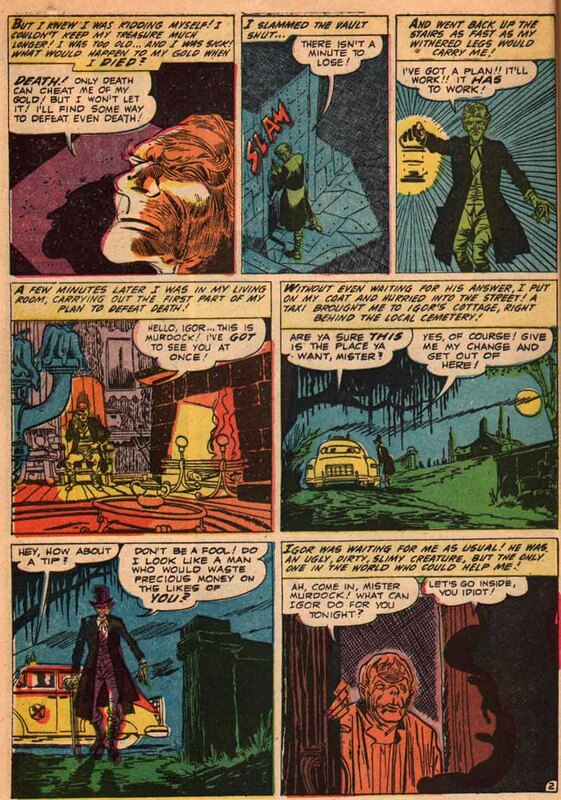 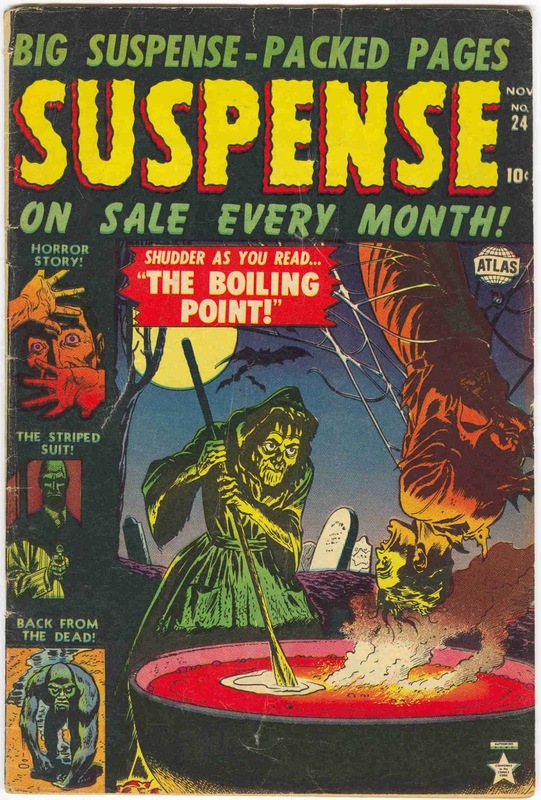 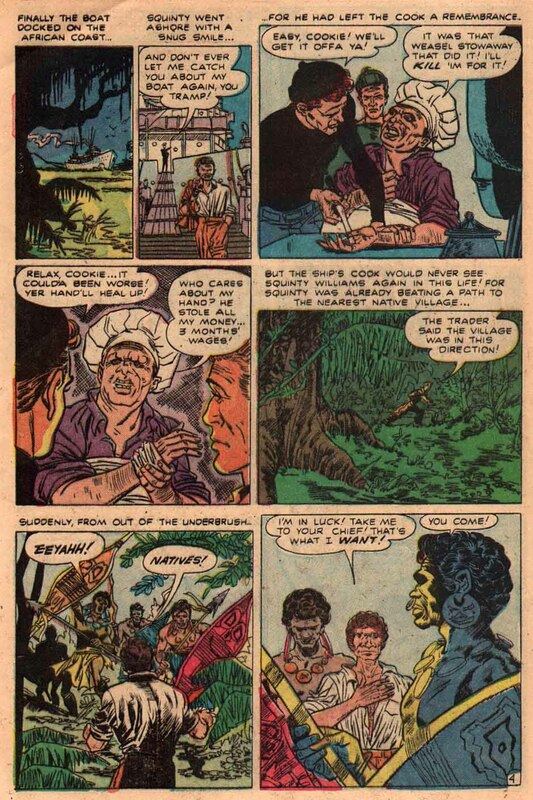 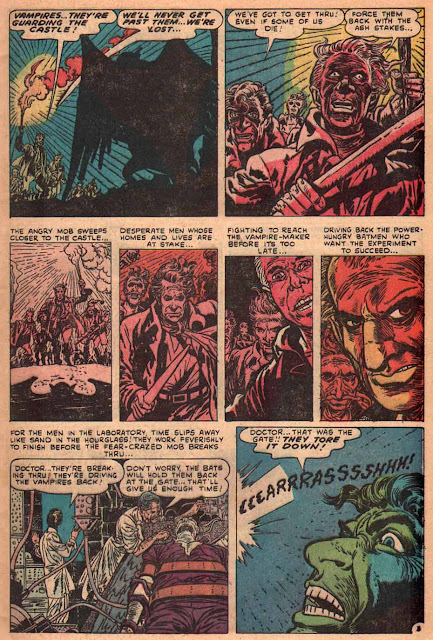 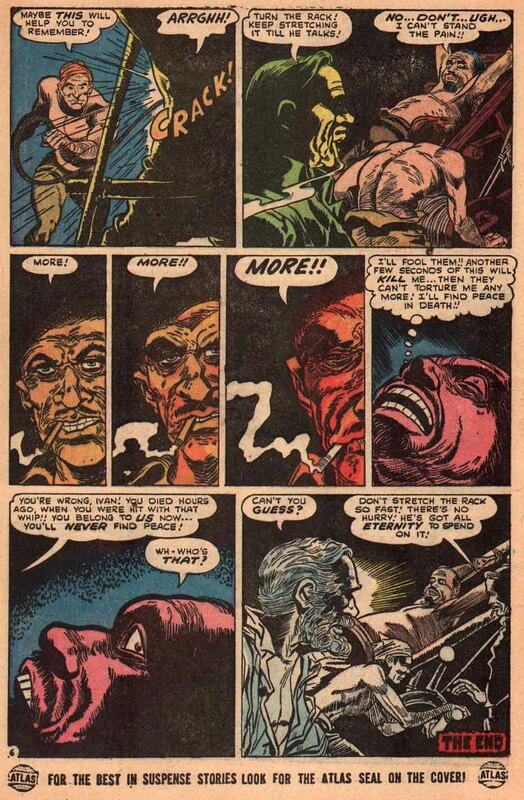 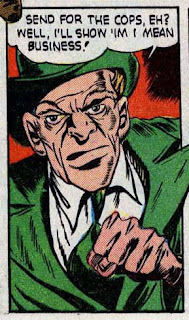 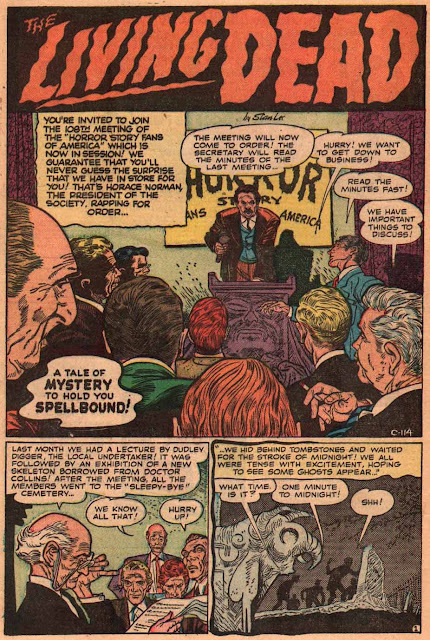 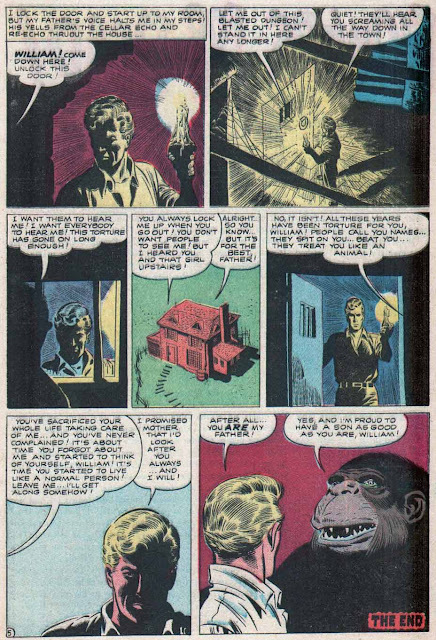 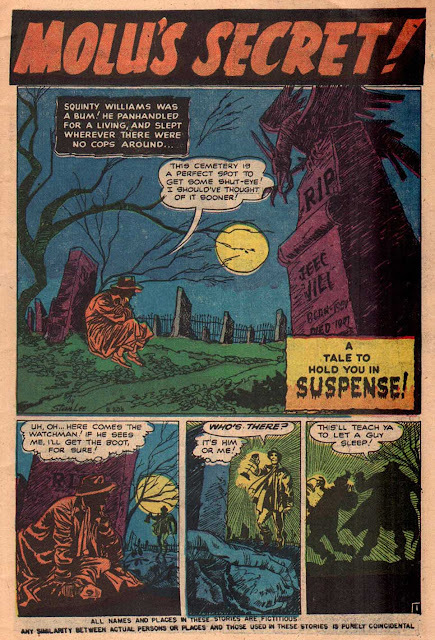 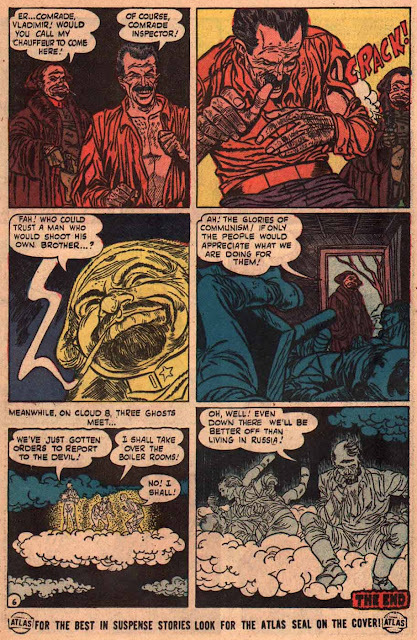 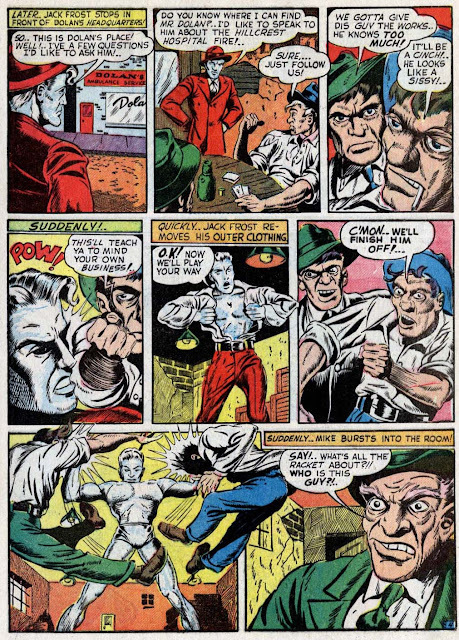 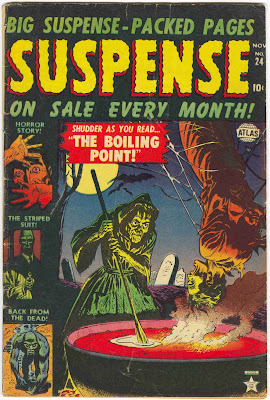 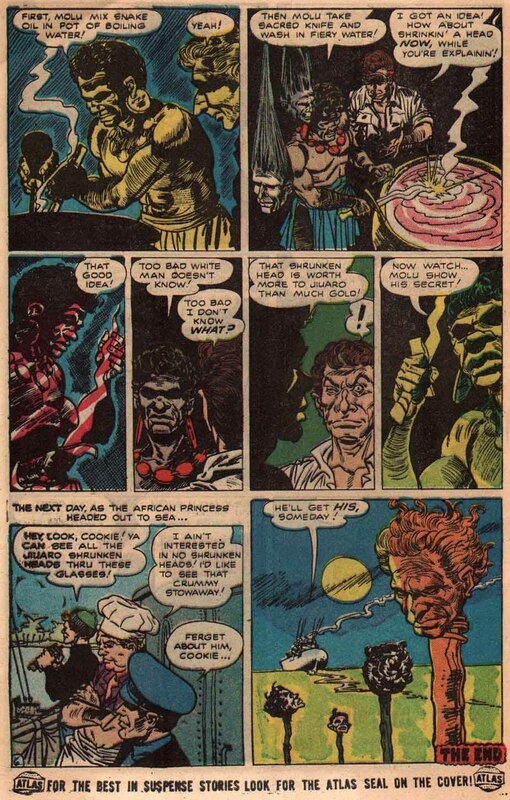 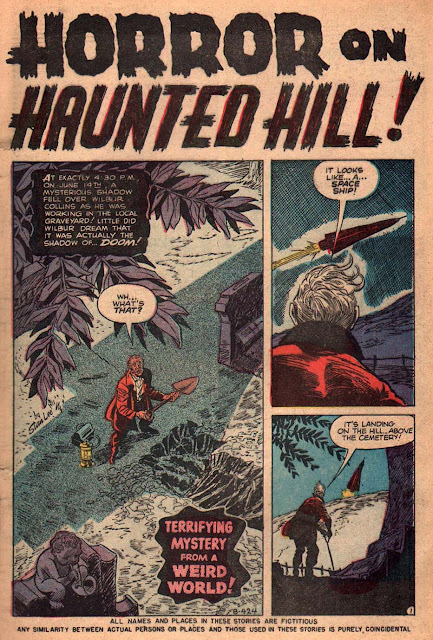 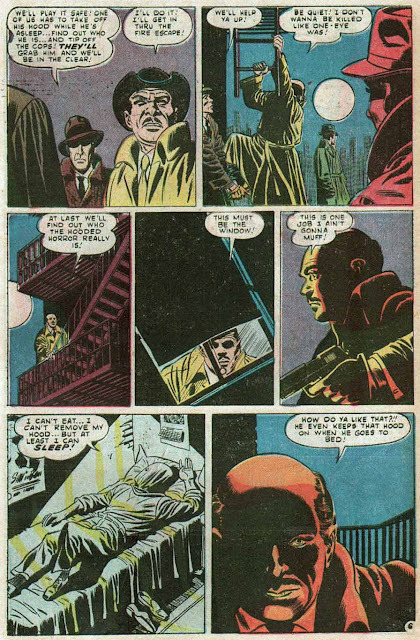 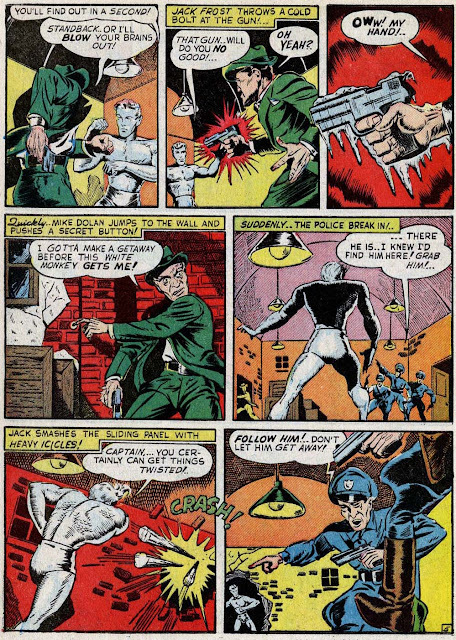 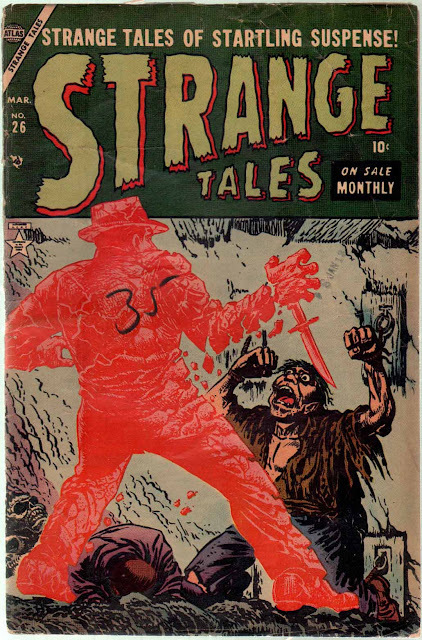 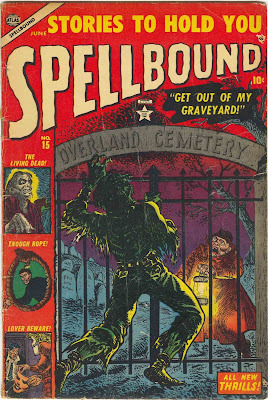 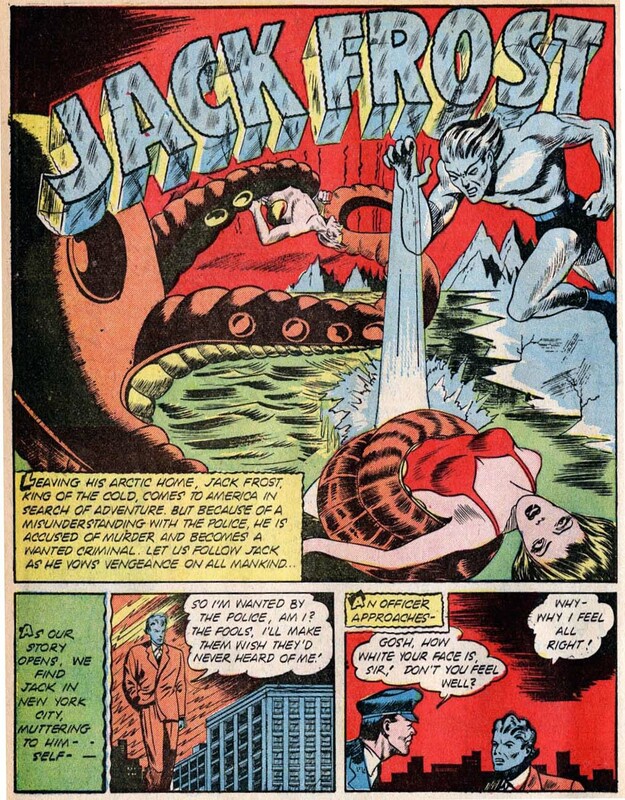 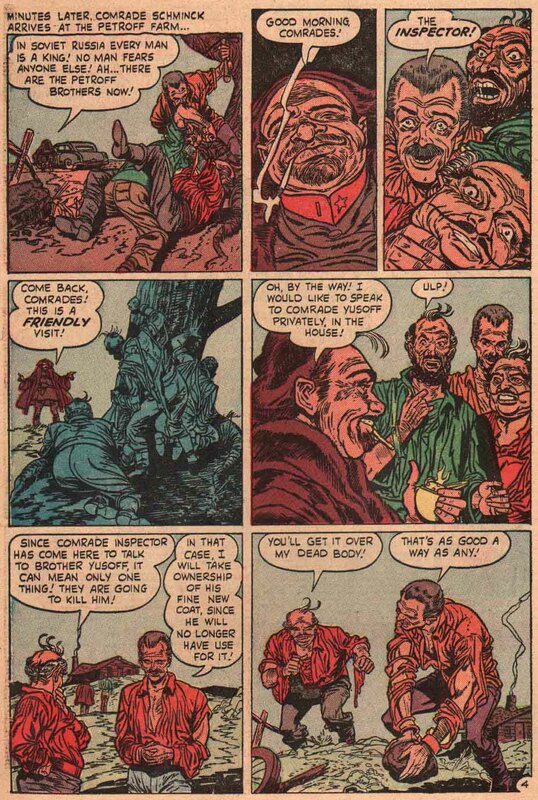 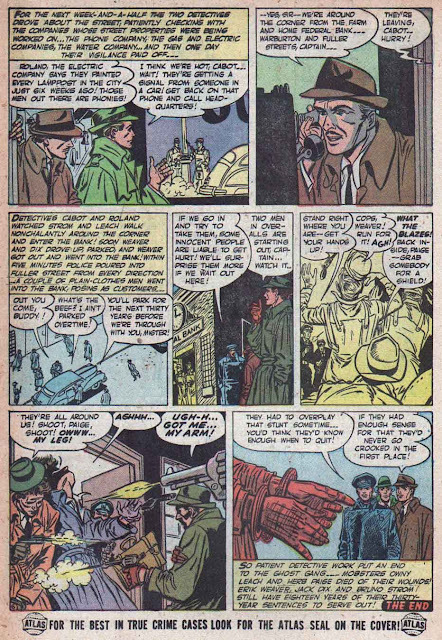 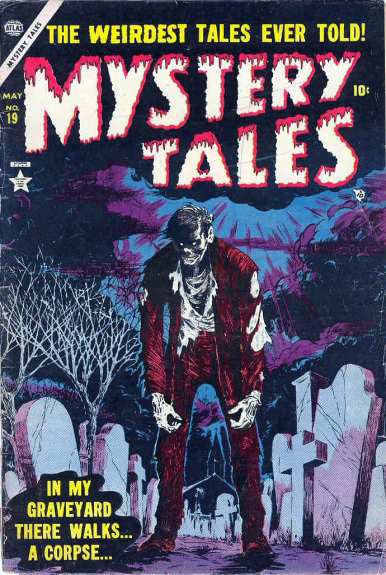 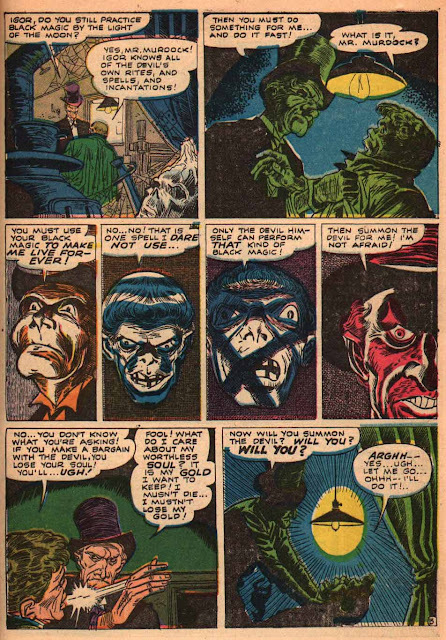 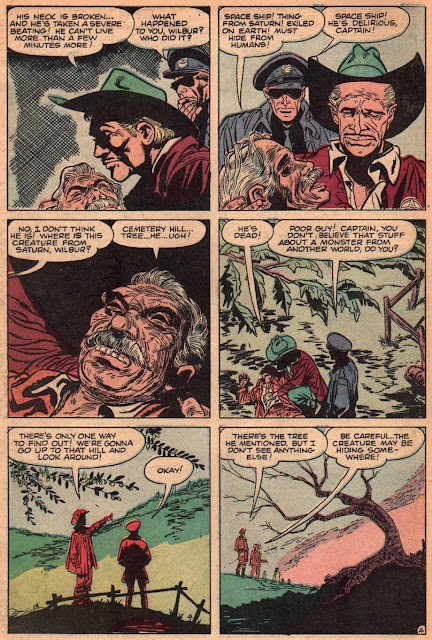 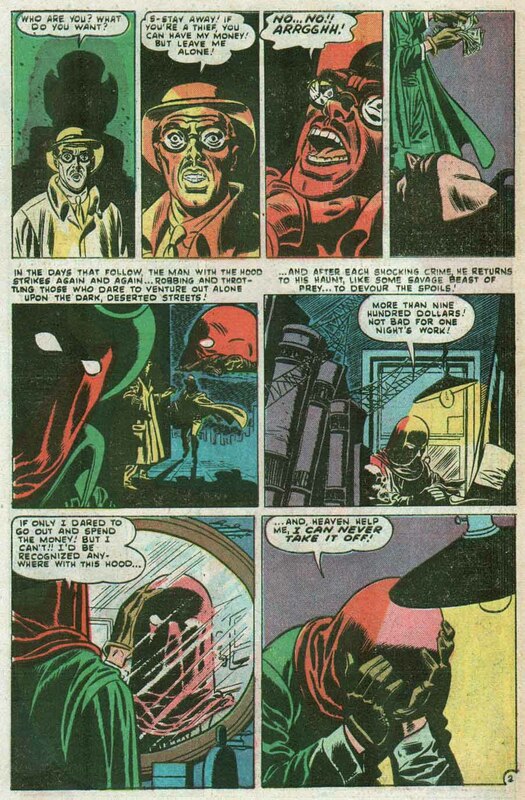 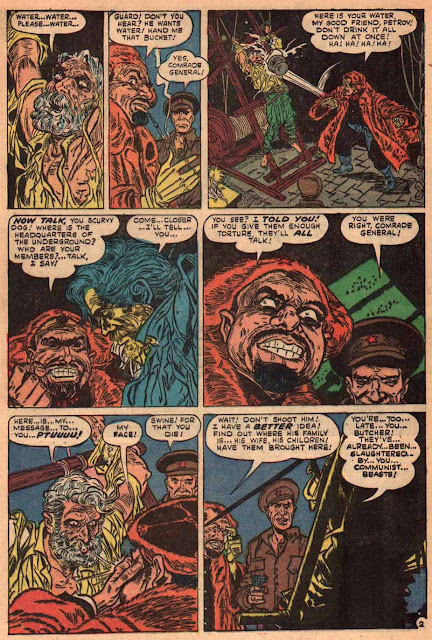 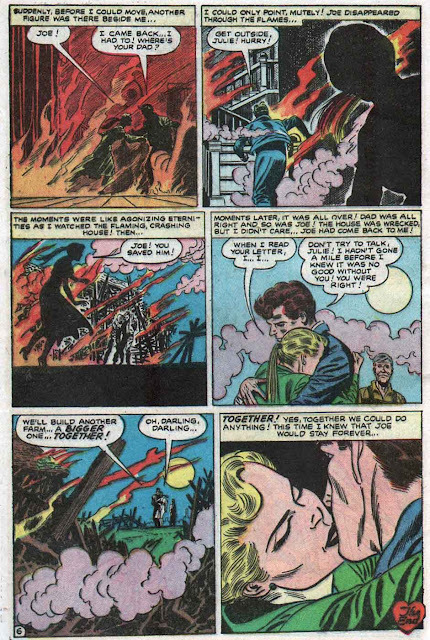 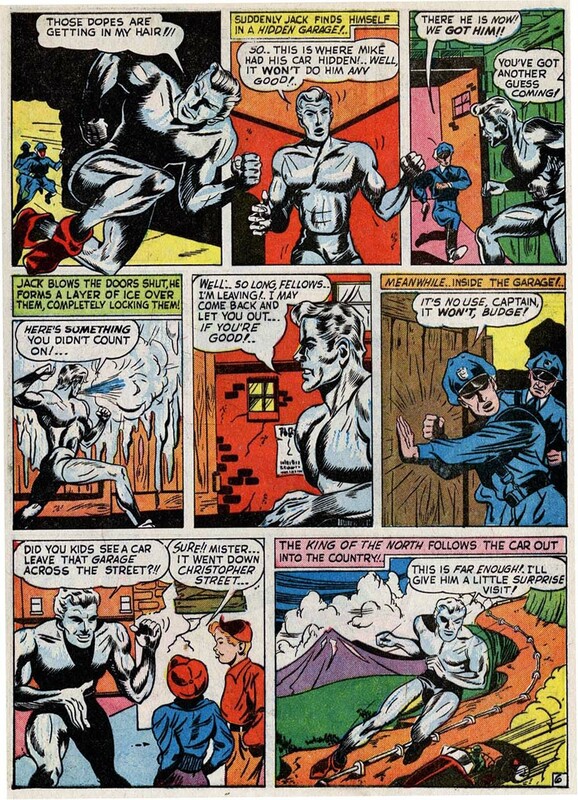 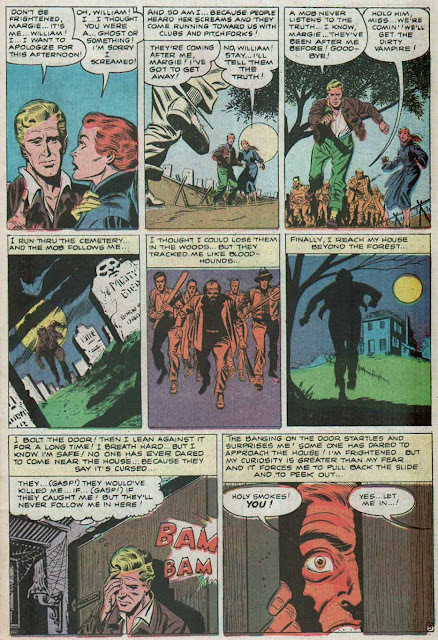 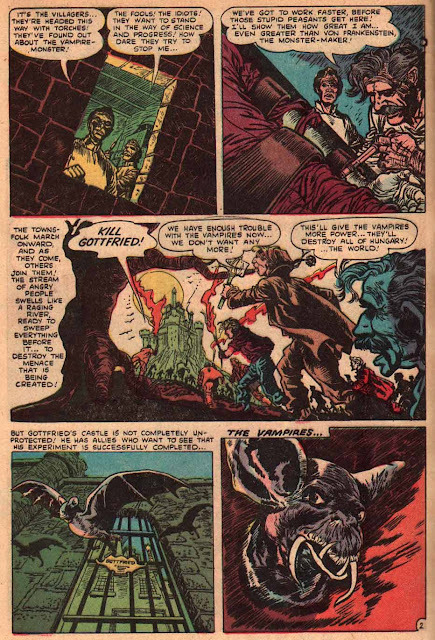 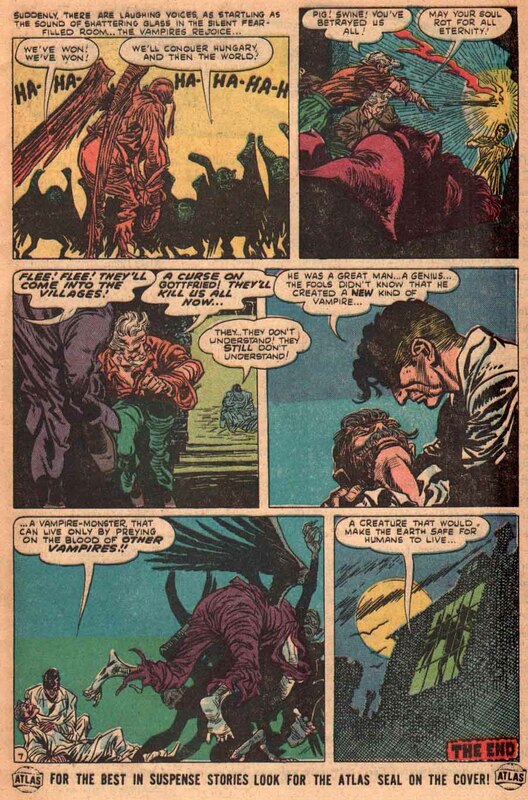 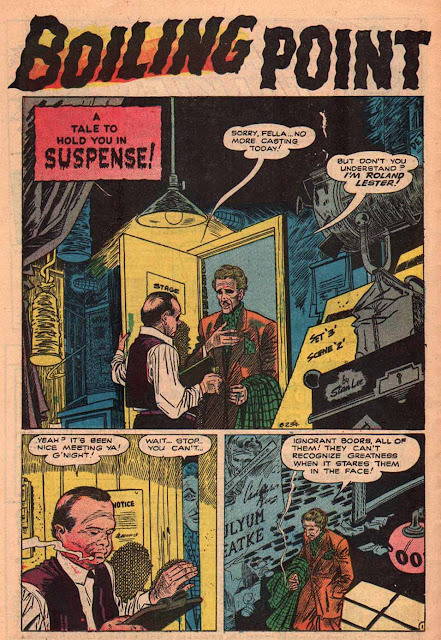 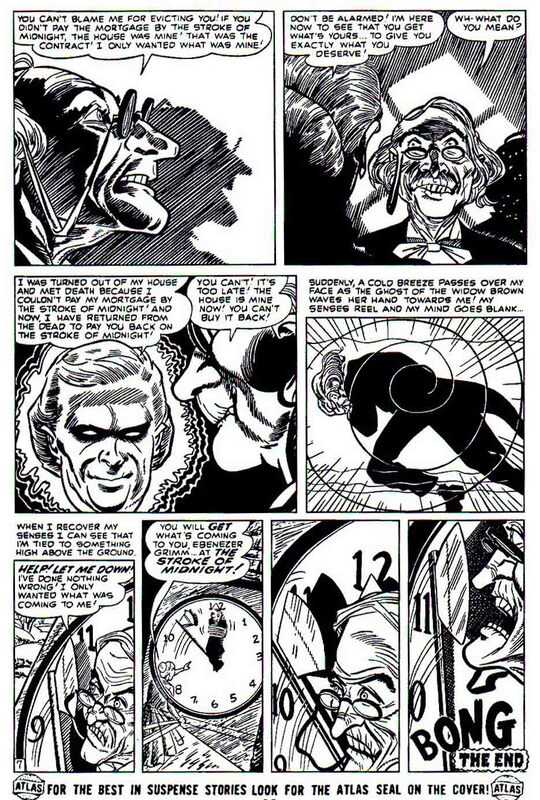 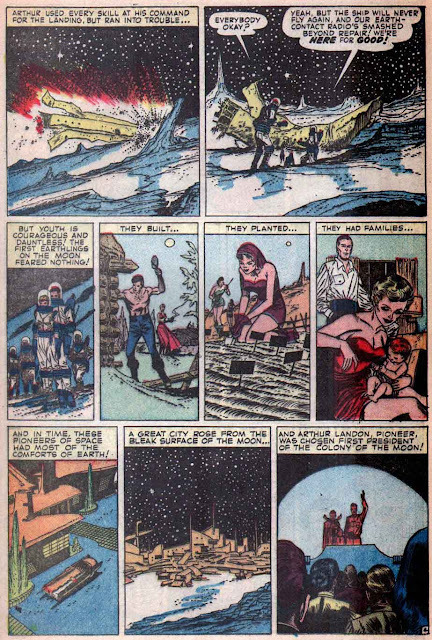 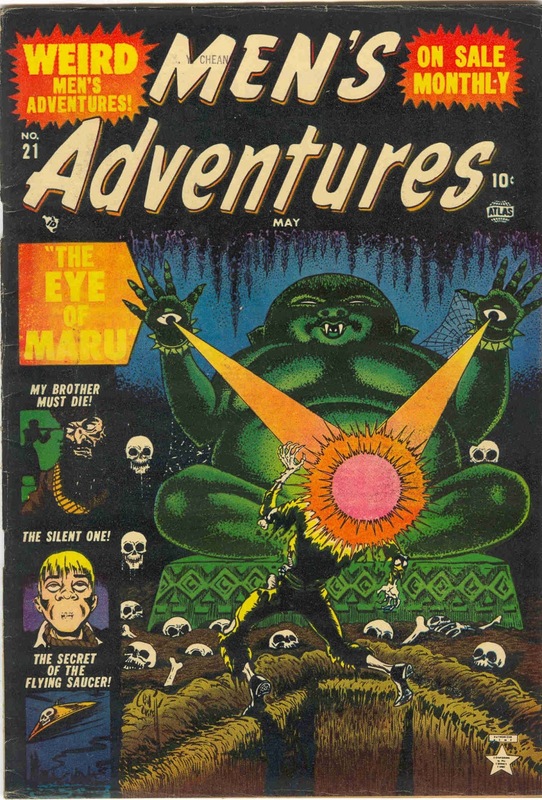 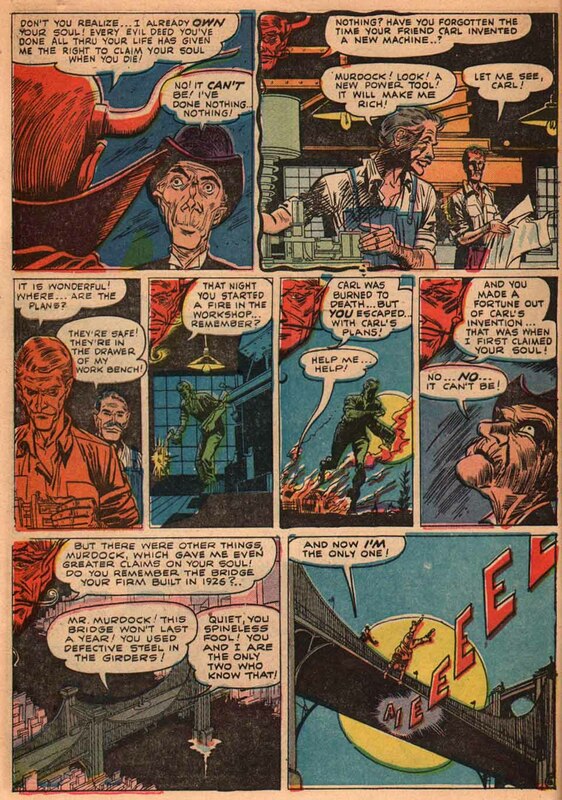 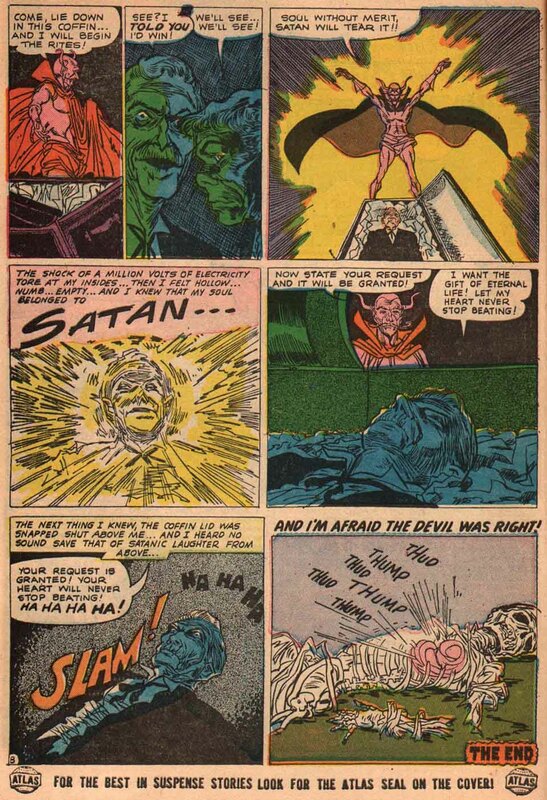 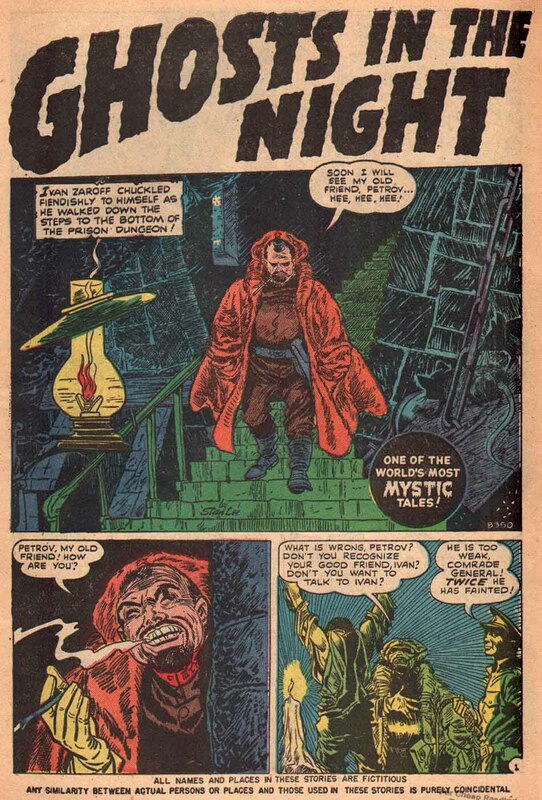 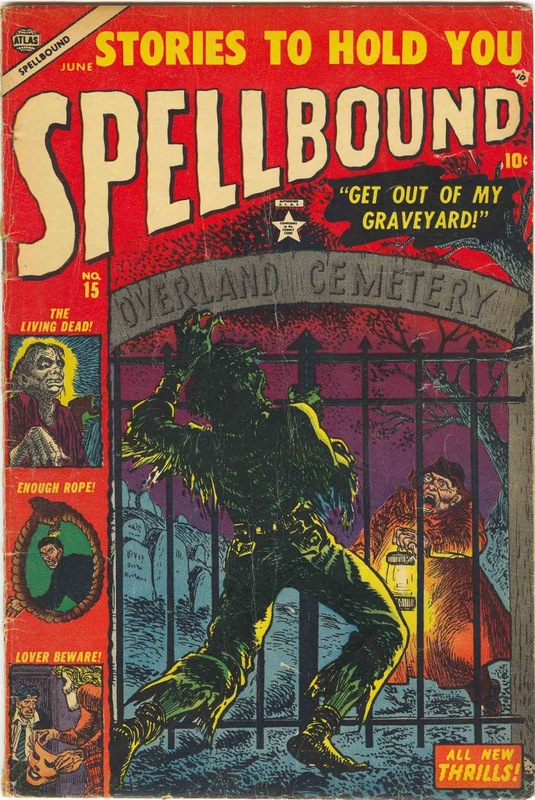 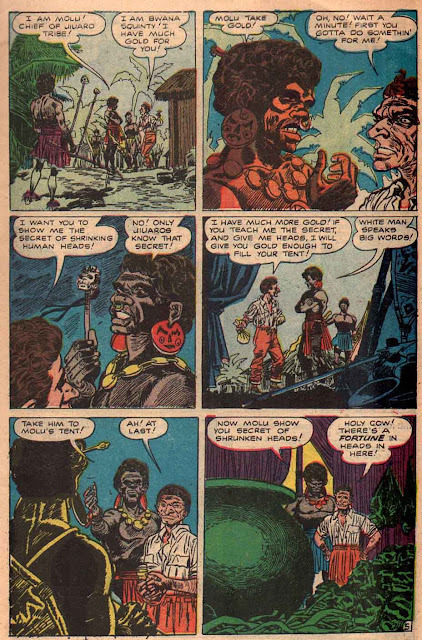 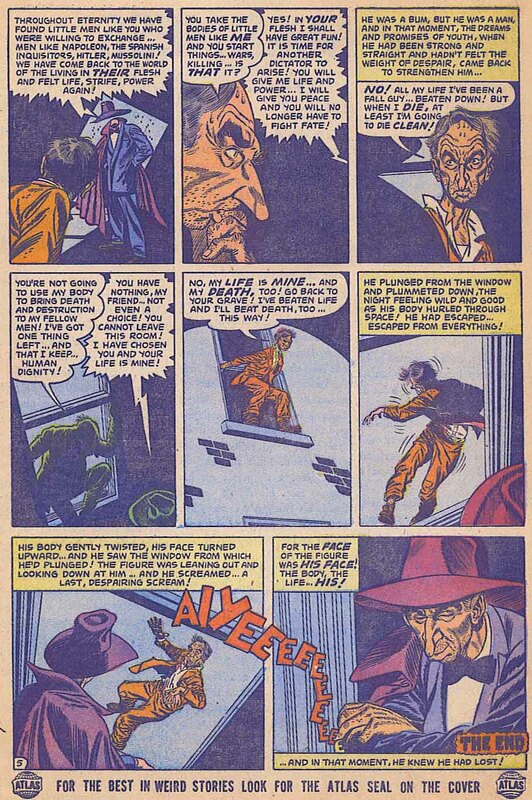 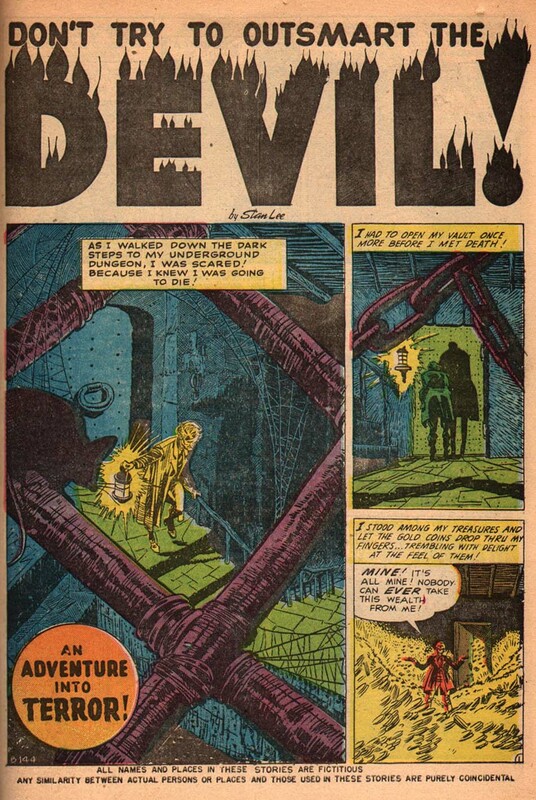 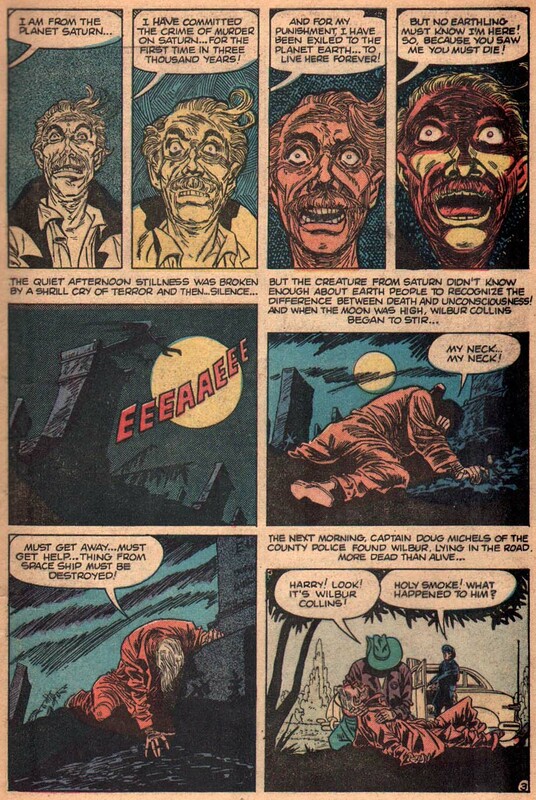 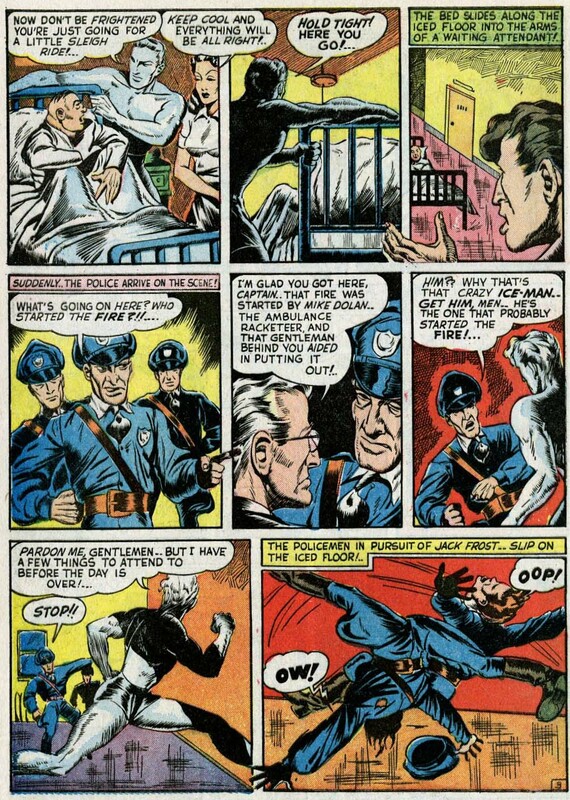 You know of course, that there was a part to to this story, by George Tuska? 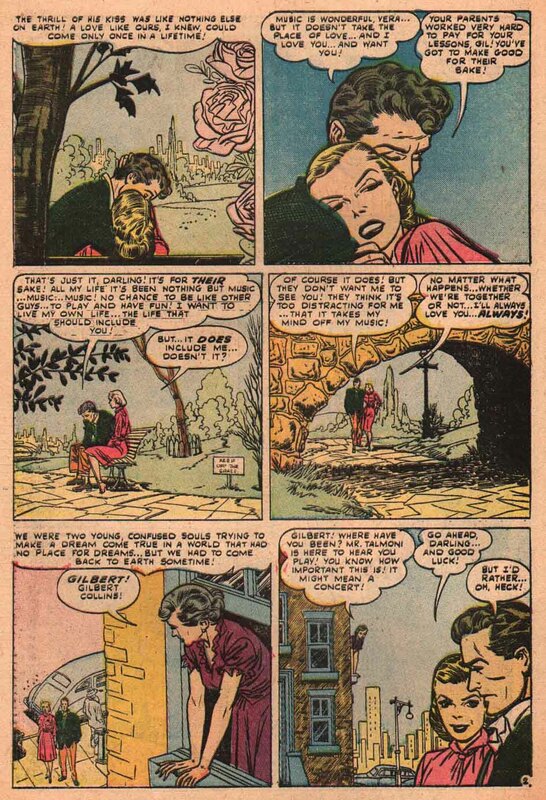 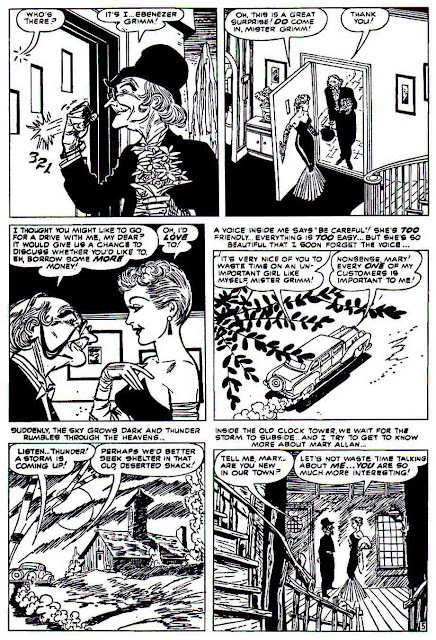 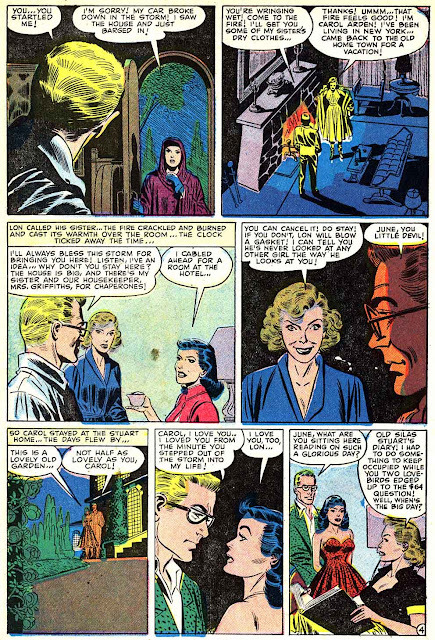 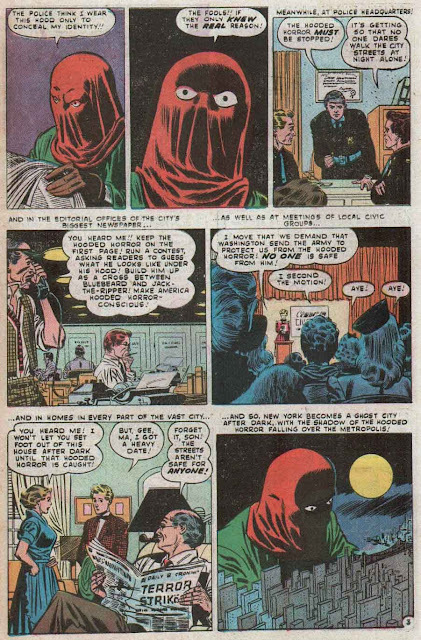 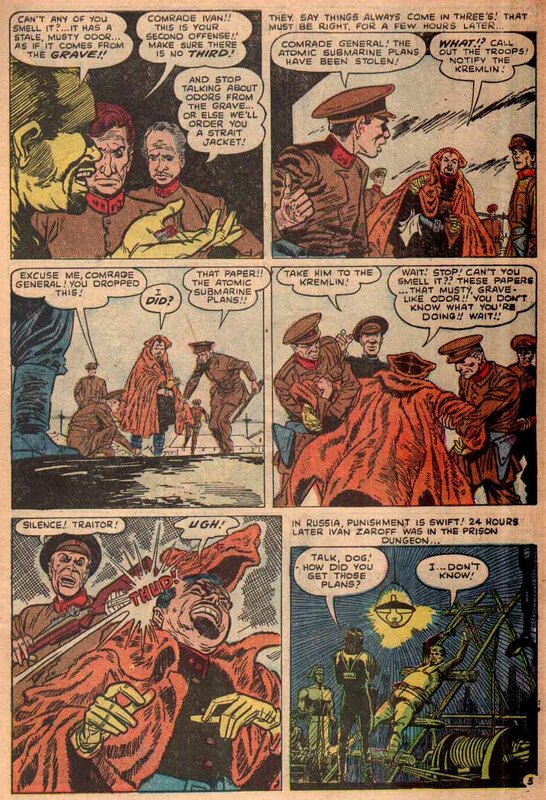 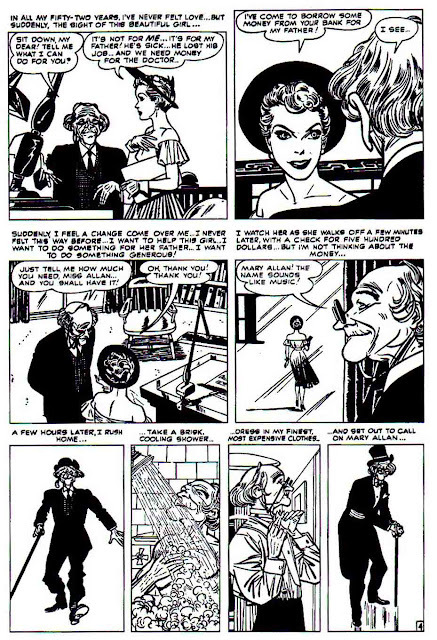 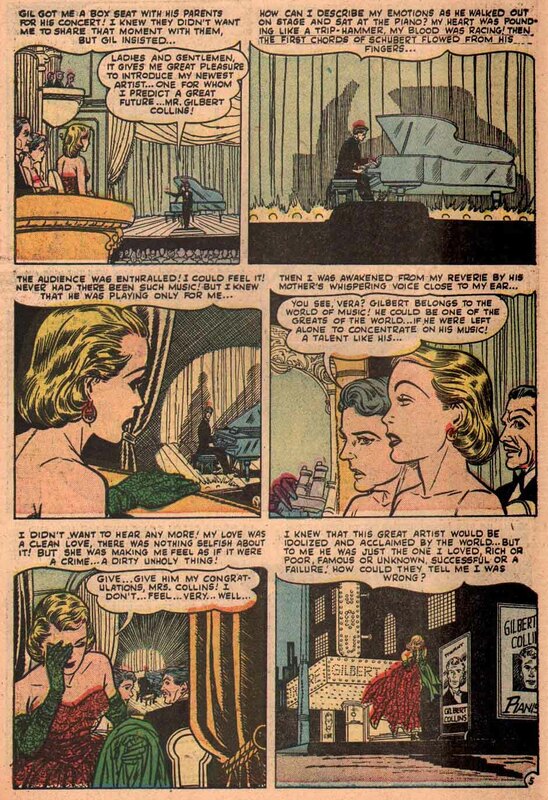 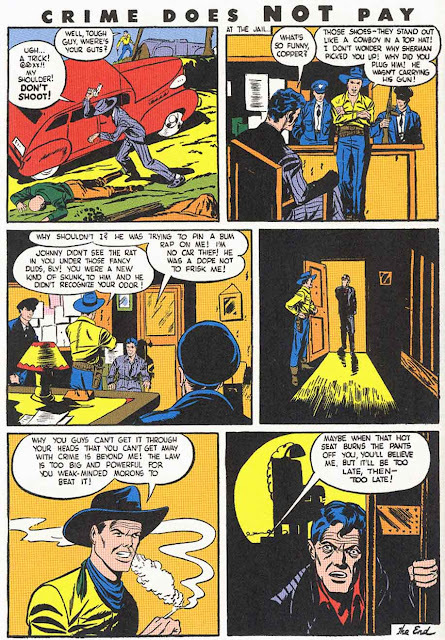 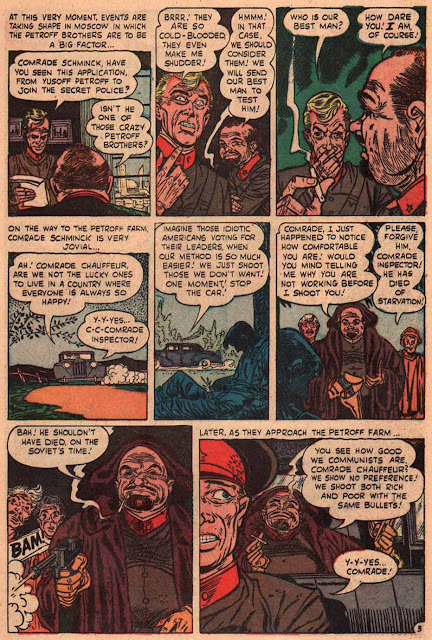 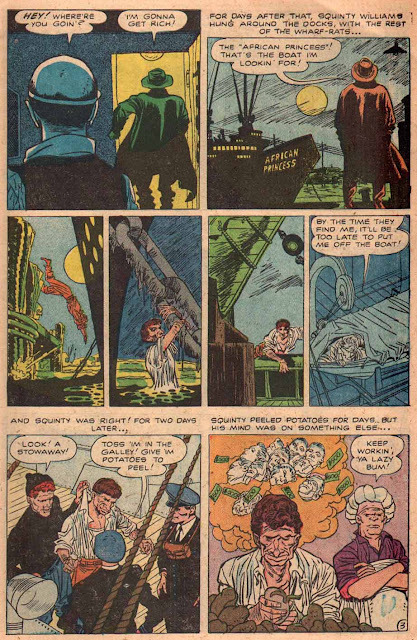 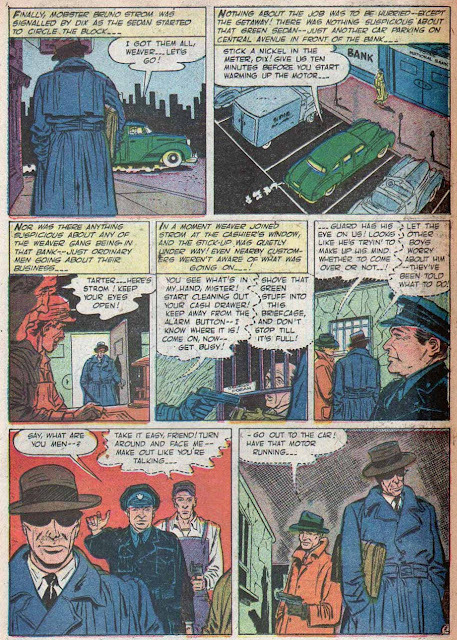 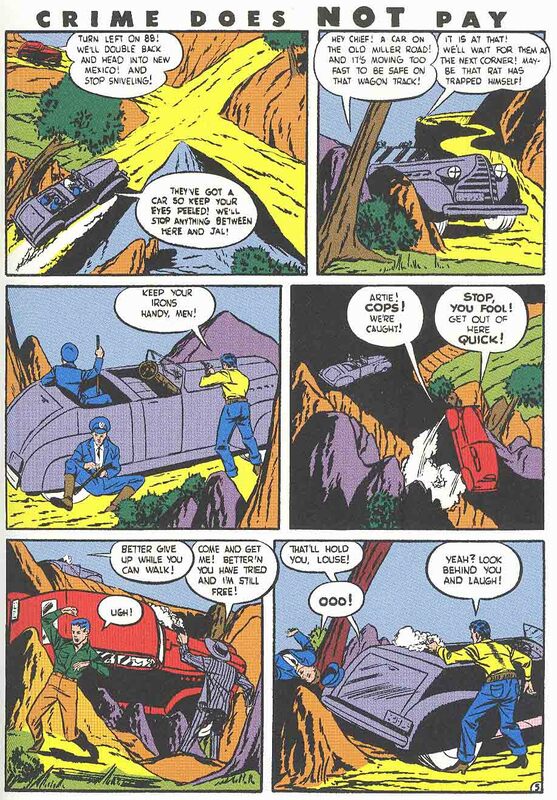 As fr the question if Kane inked the second half: I always assumed that there were a result of Infantino looking for a different, more designy look - coming from the Caniff/Kirby nfluenced style he used before that - letting the look be determined by the inking of Peddy and Starr. 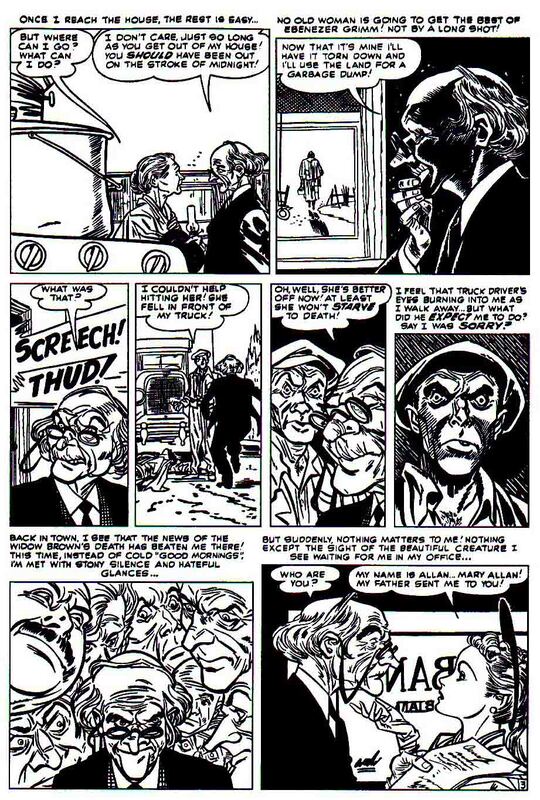 Therefore, I though he inked those himself (as he said to you). 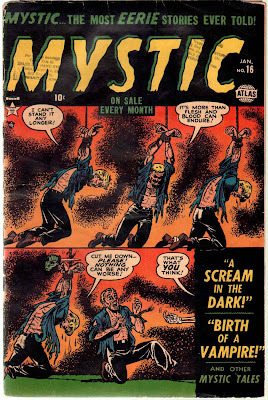 They look like his solo stuff for Warren many years later. 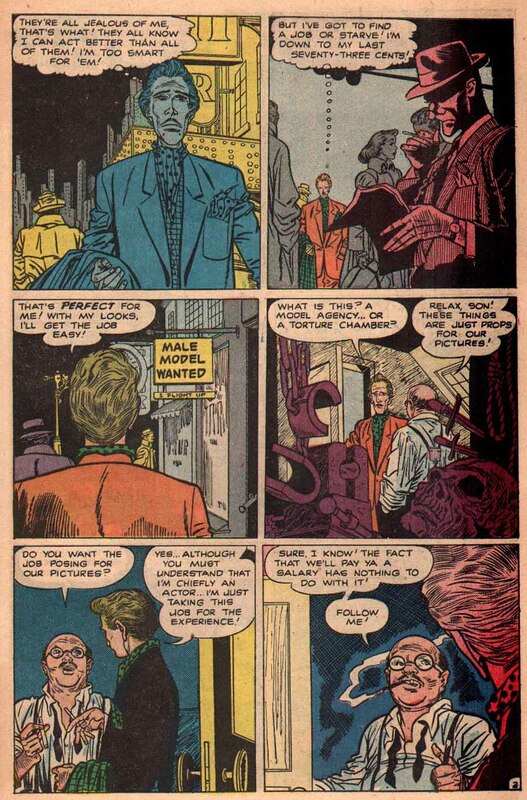 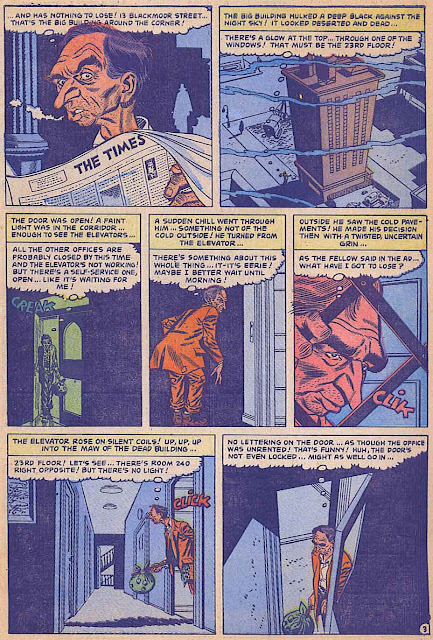 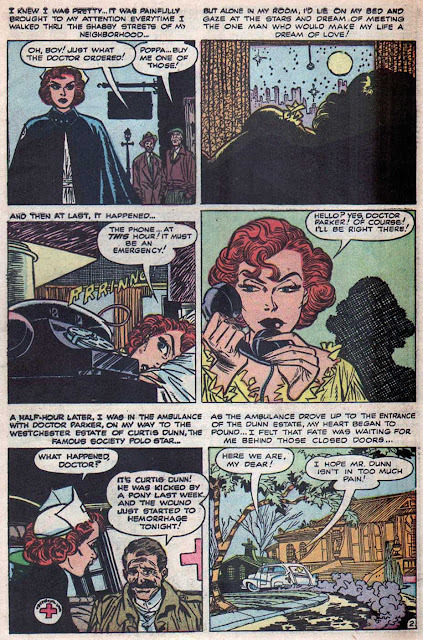 And some of the solo work he did for DC, such as the Elongated Man. 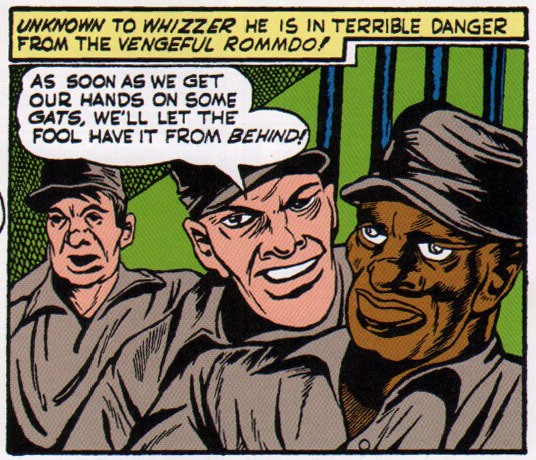 So if other inkers were involved, I believe he at least pencilled these very cleanly. 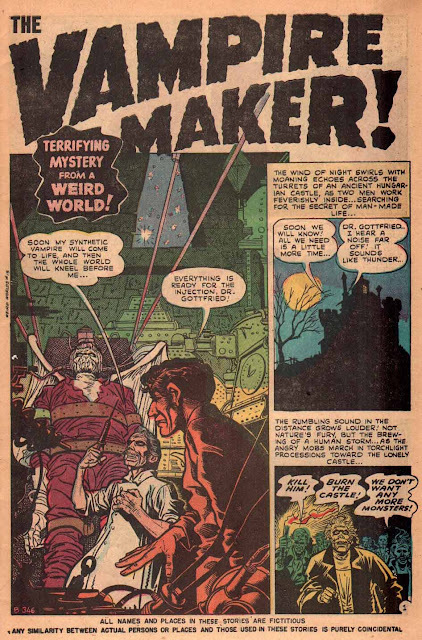 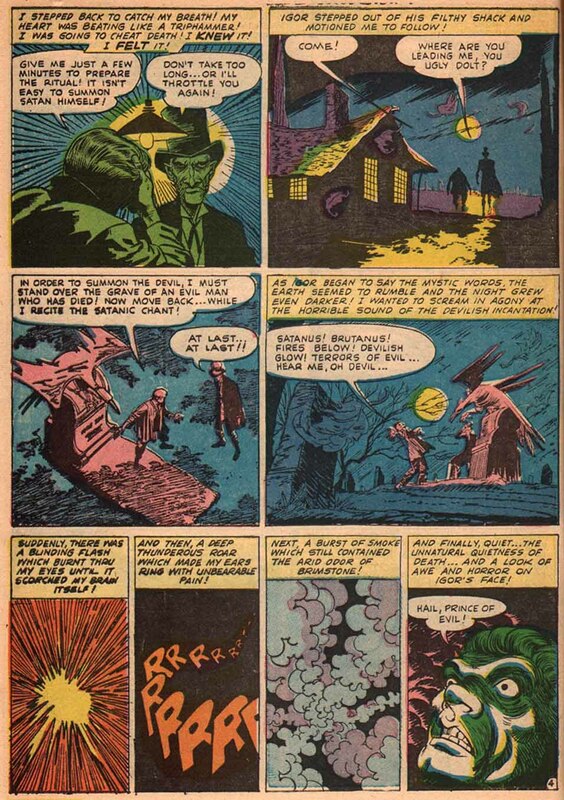 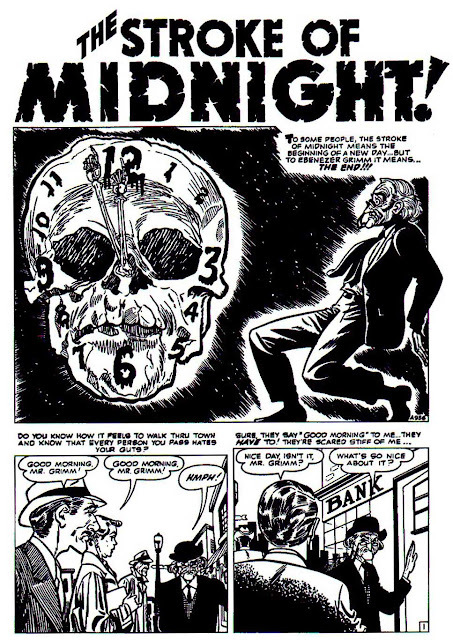 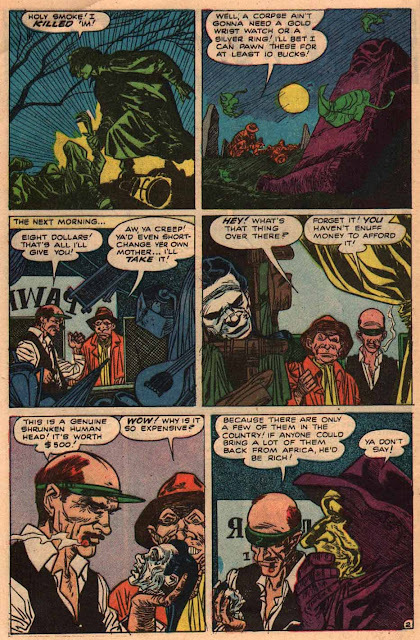 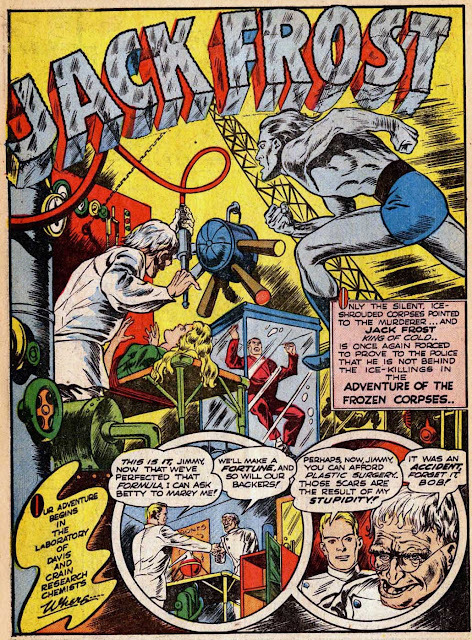 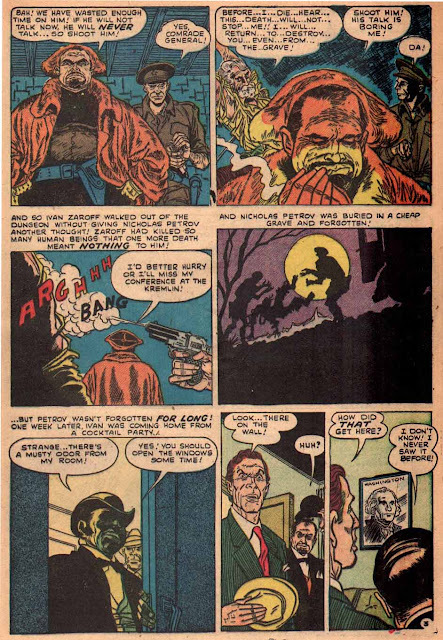 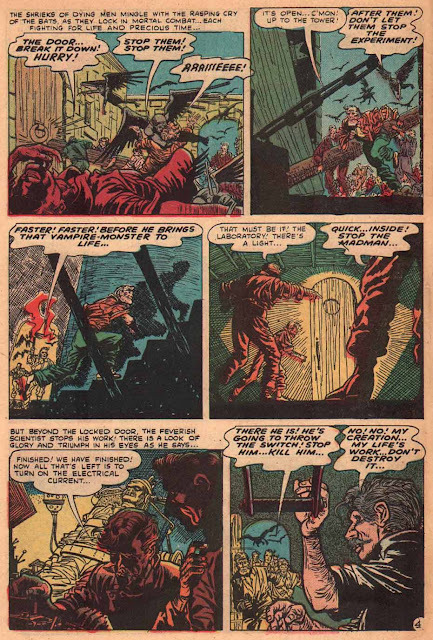 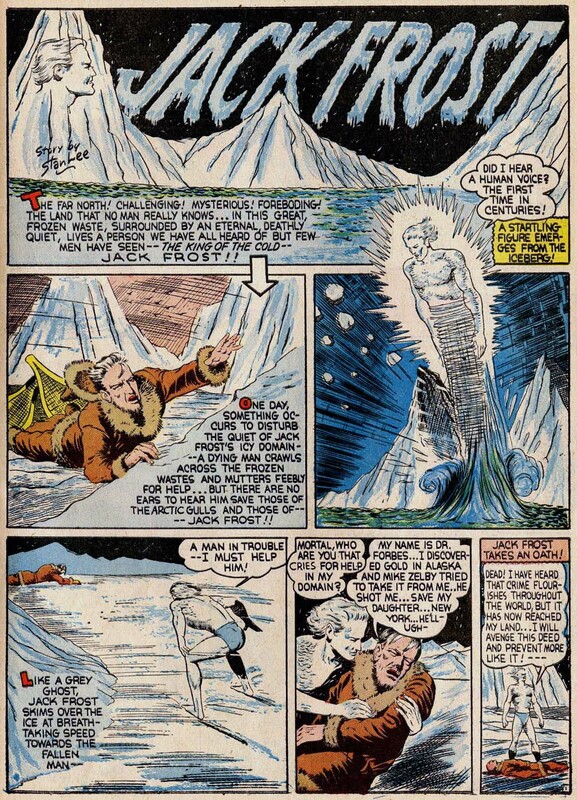 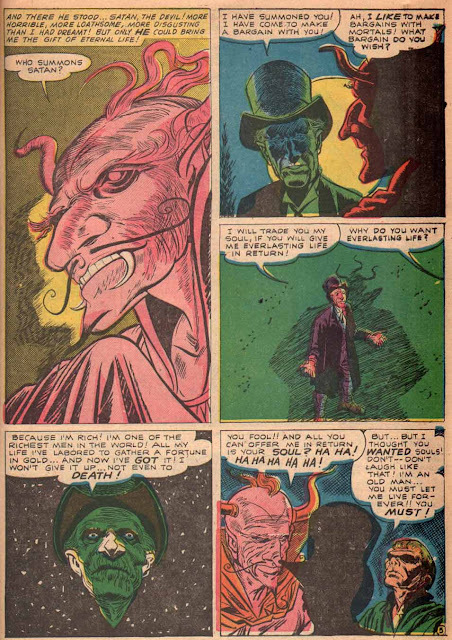 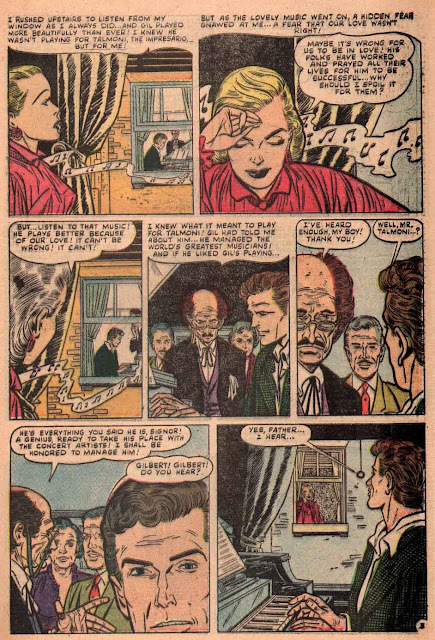 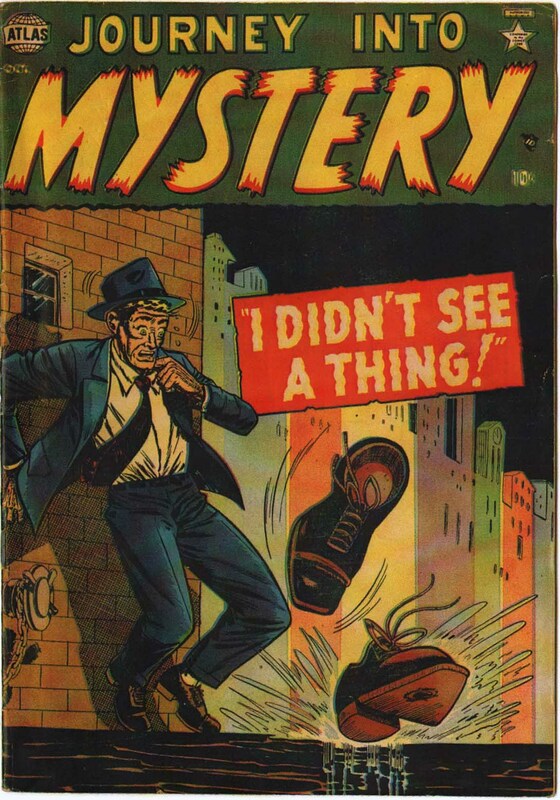 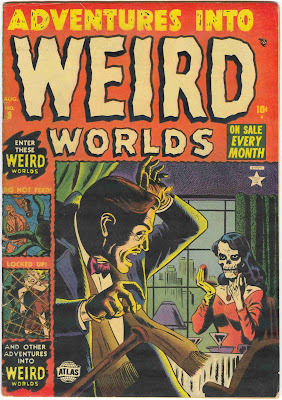 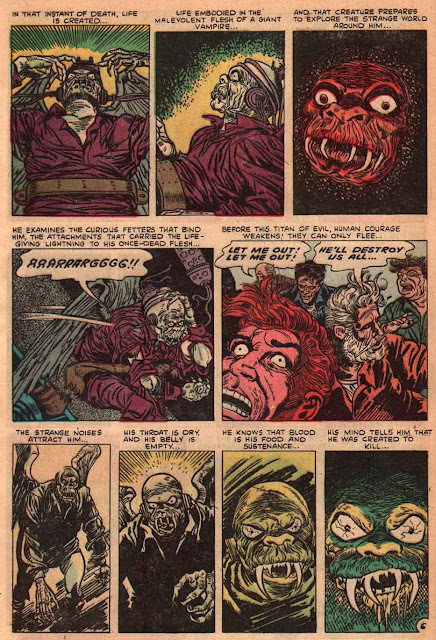 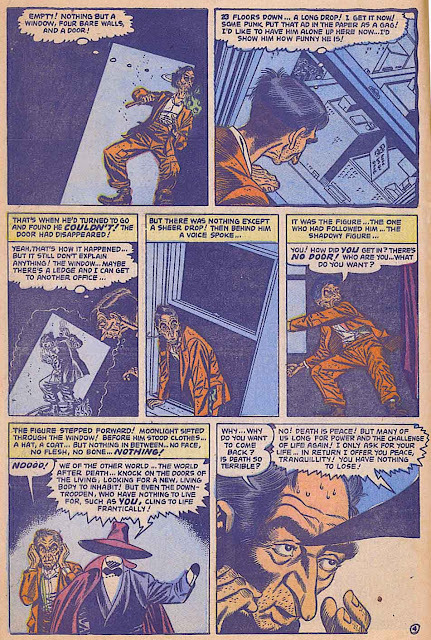 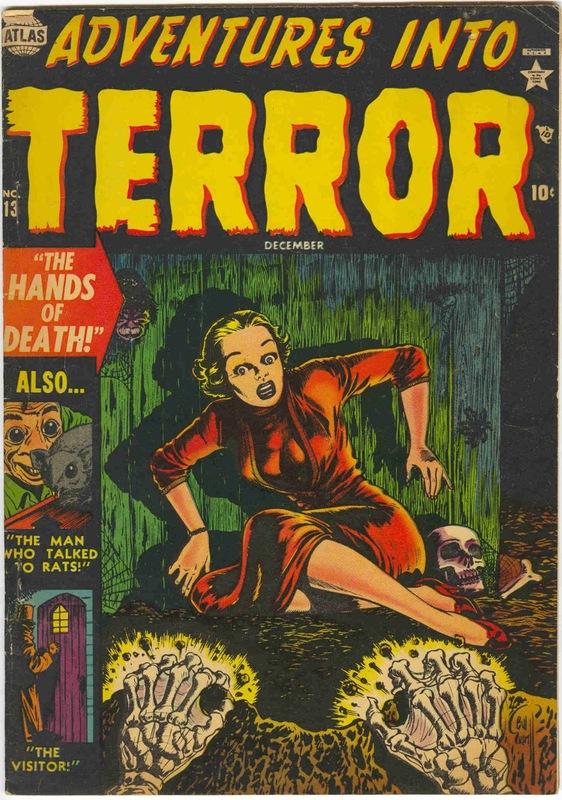 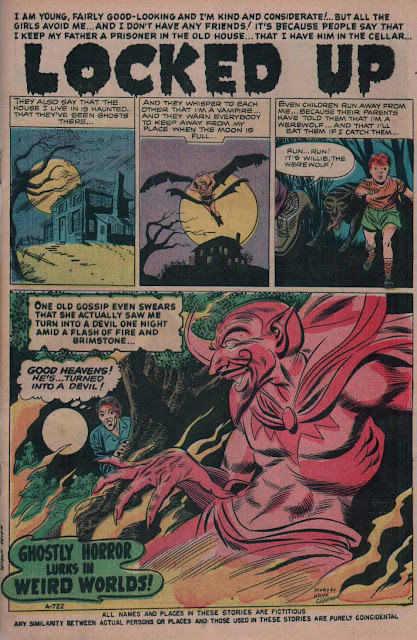 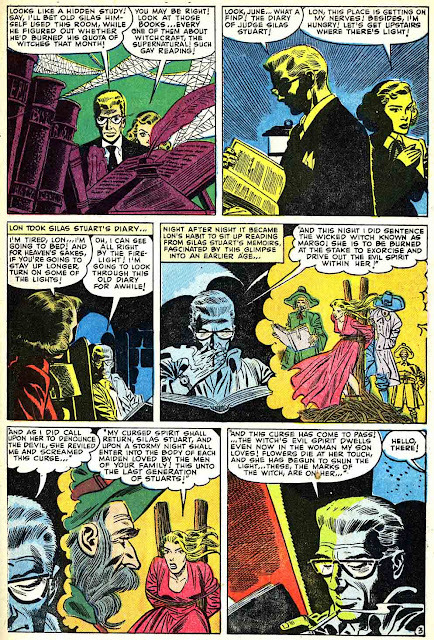 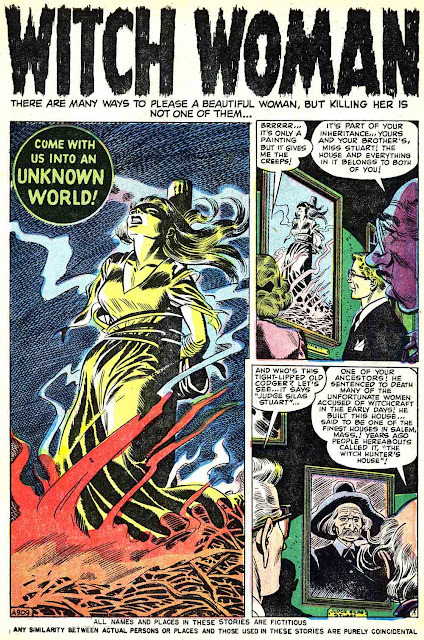 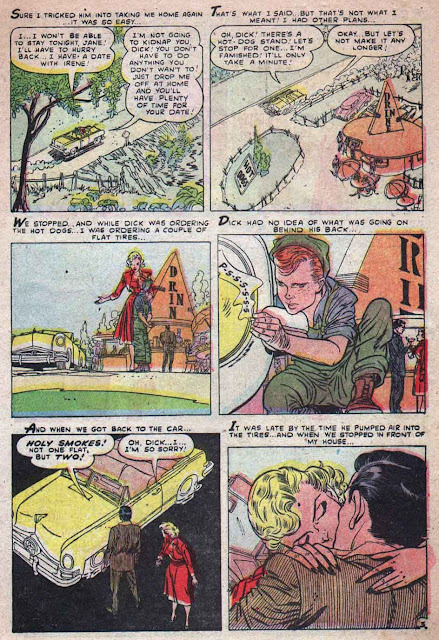 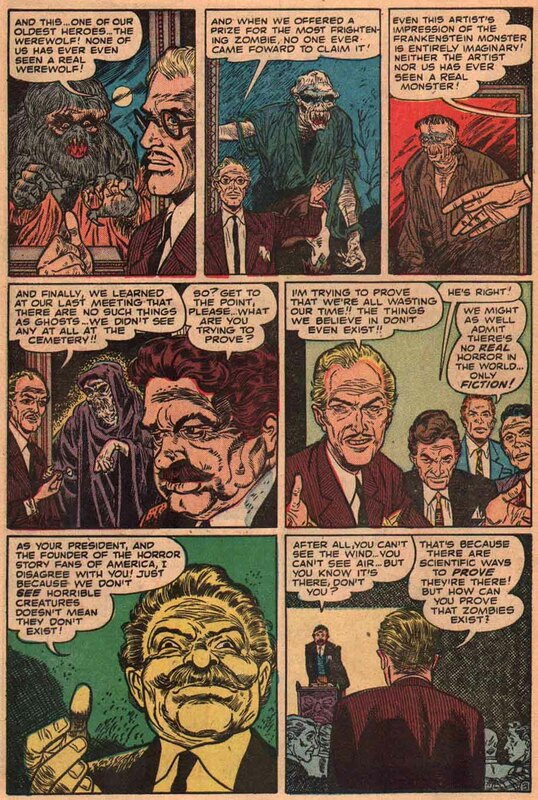 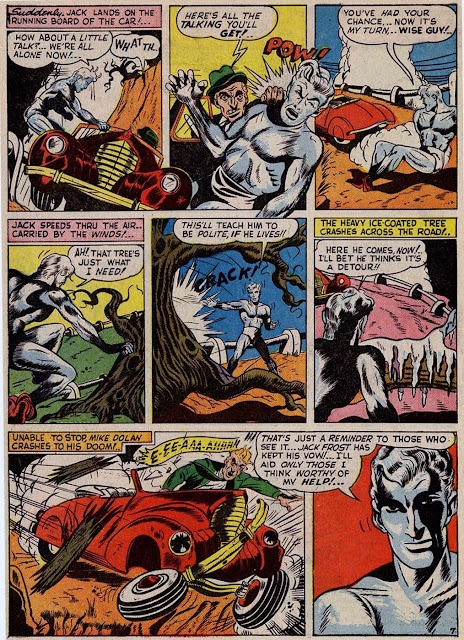 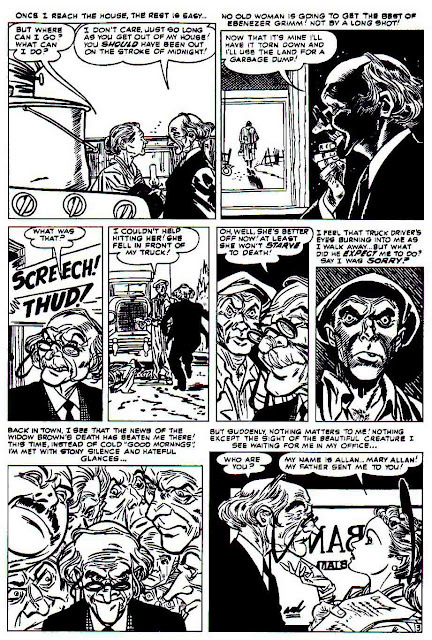 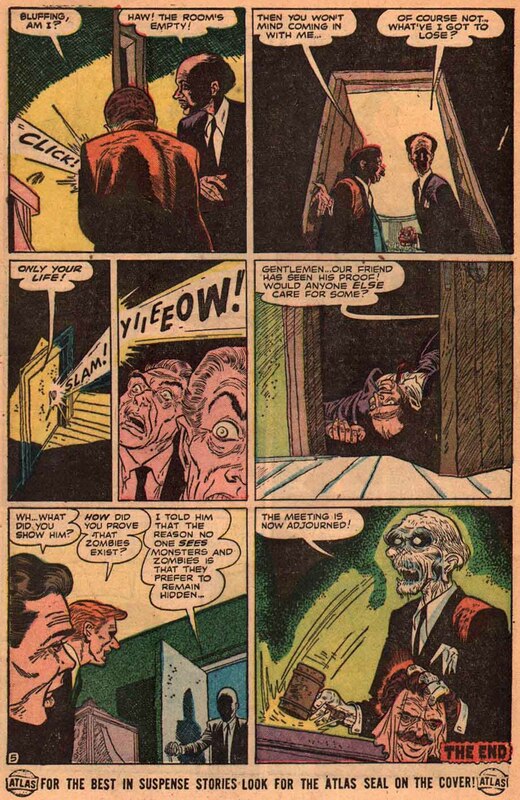 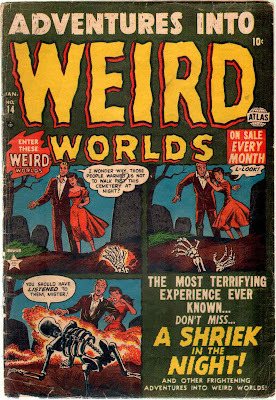 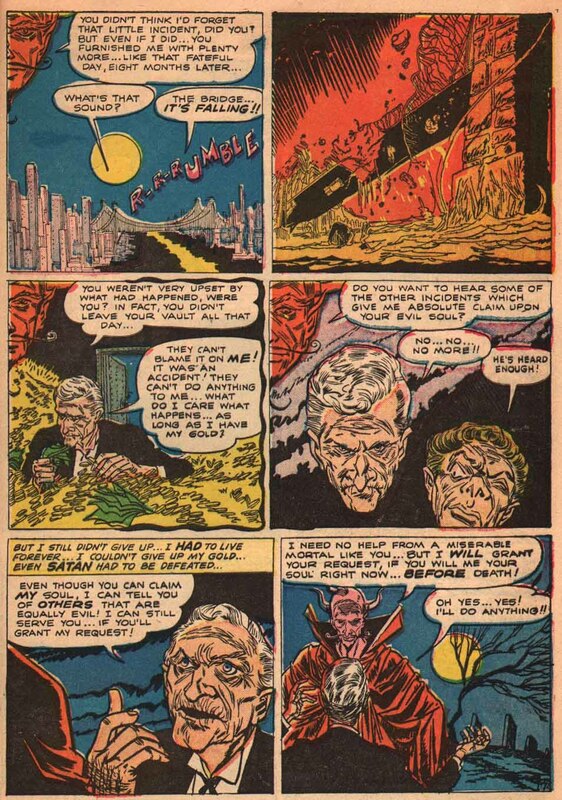 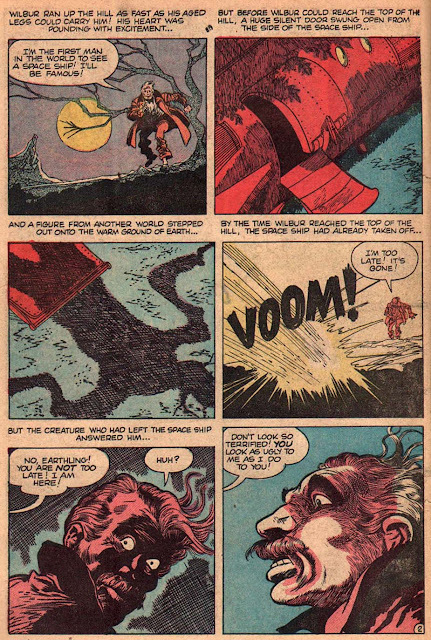 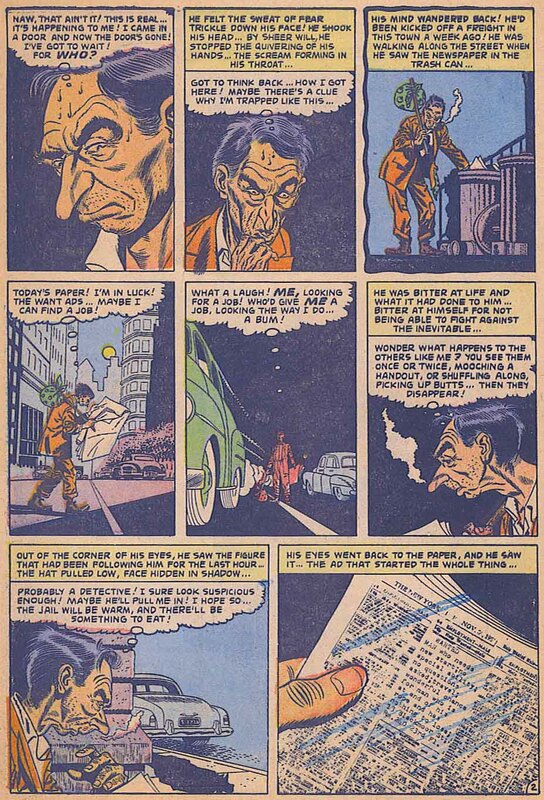 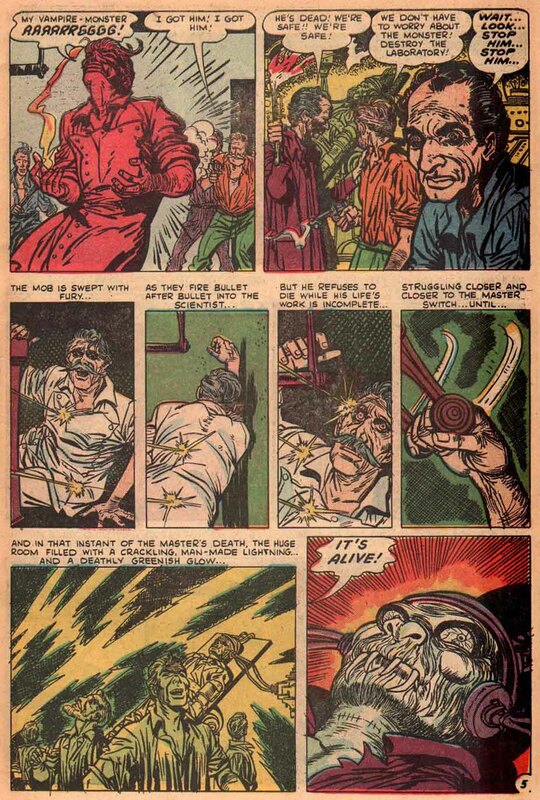 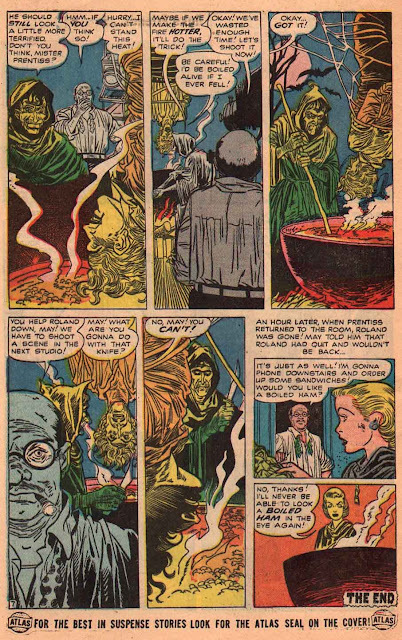 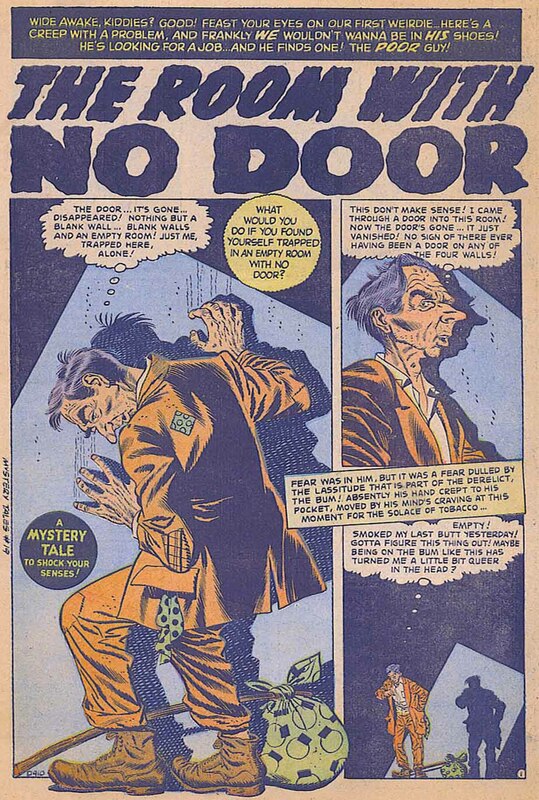 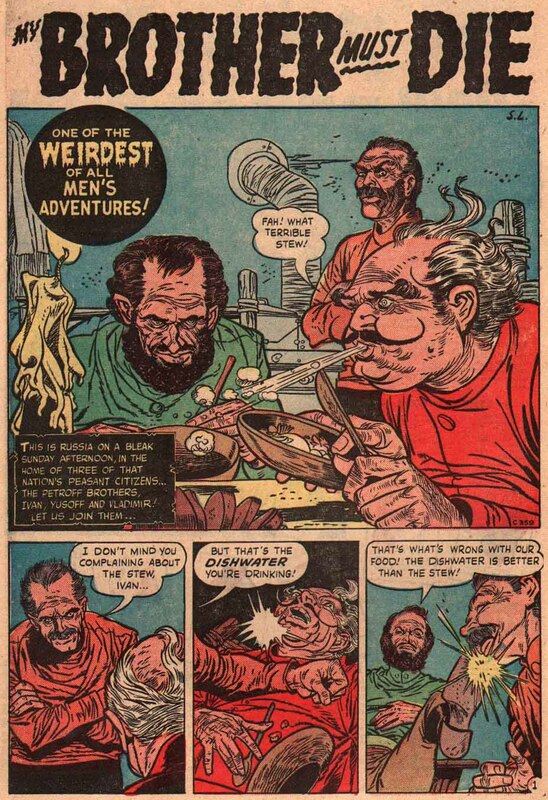 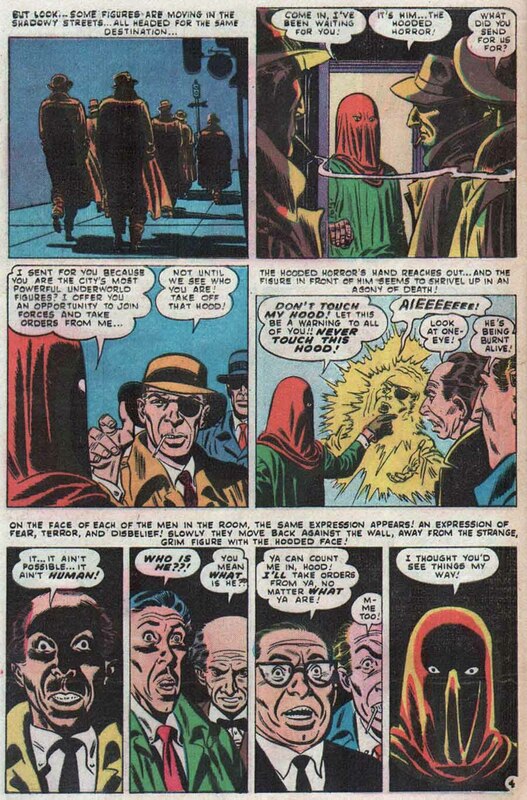 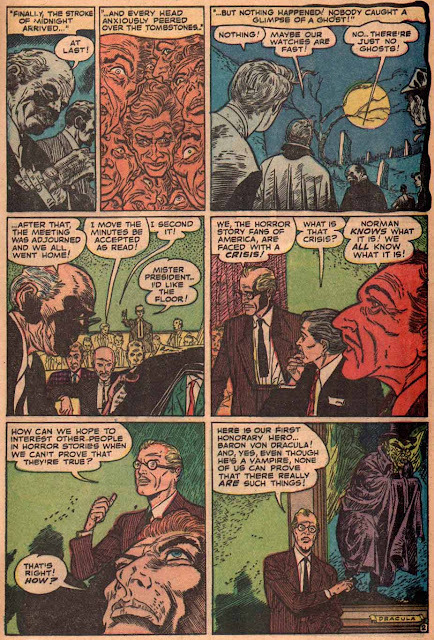 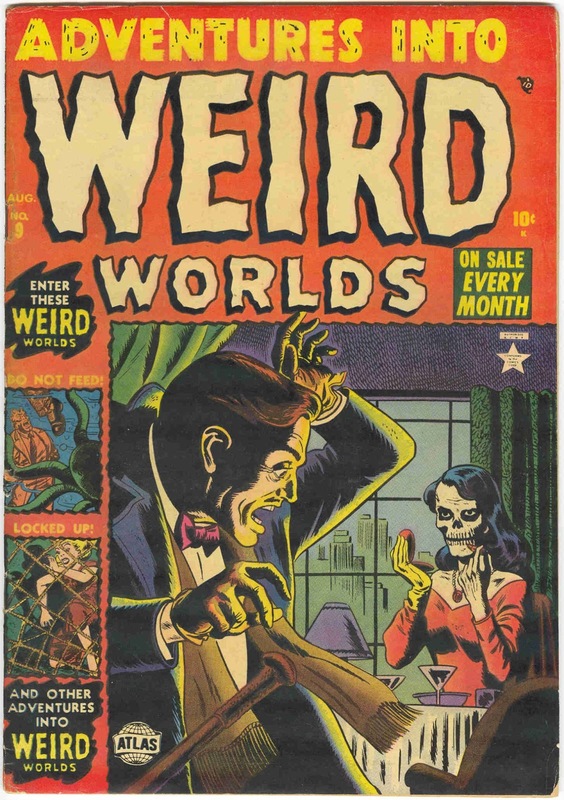 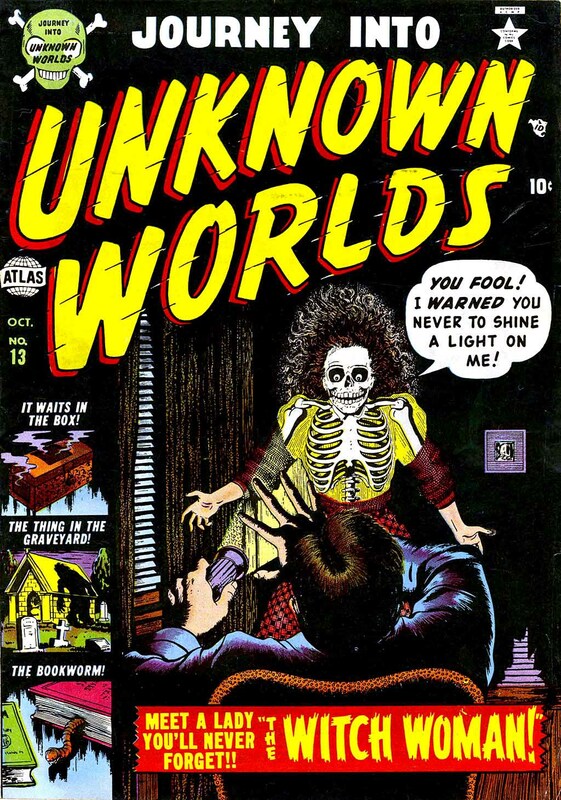 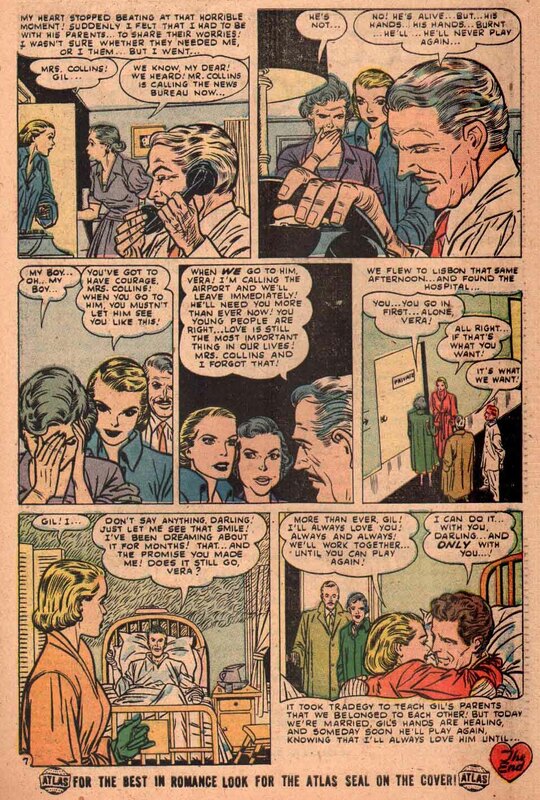 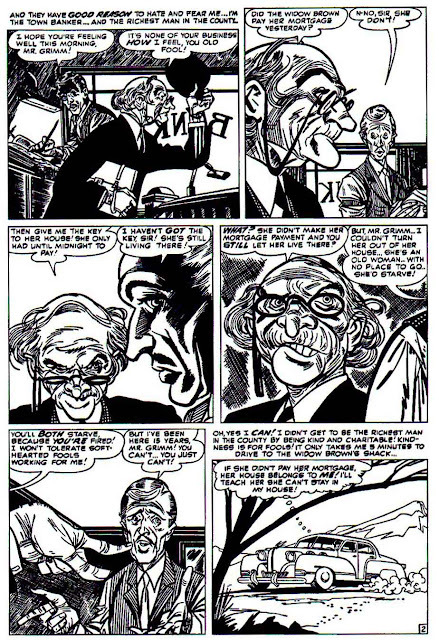 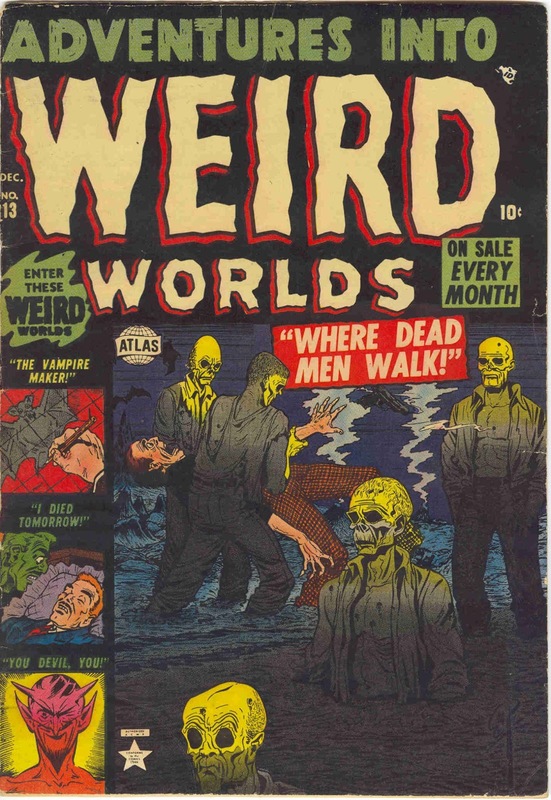 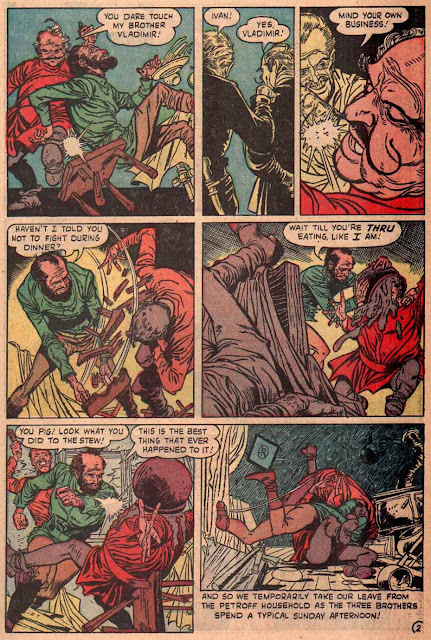 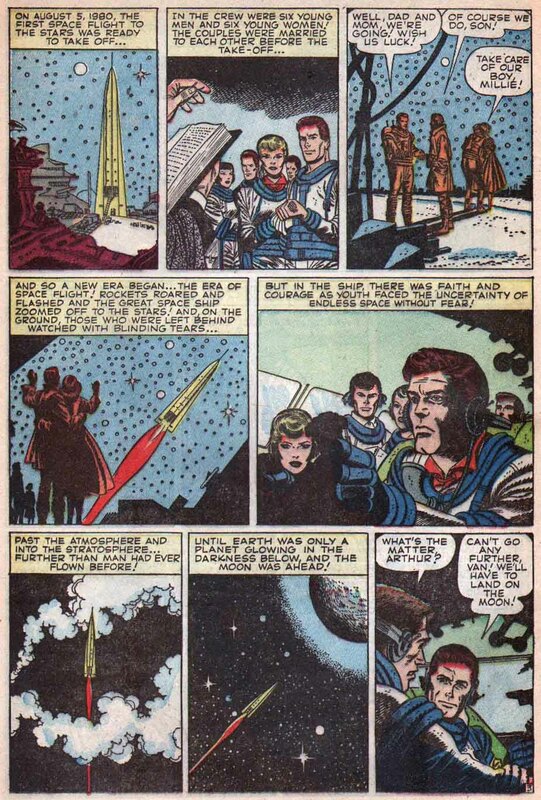 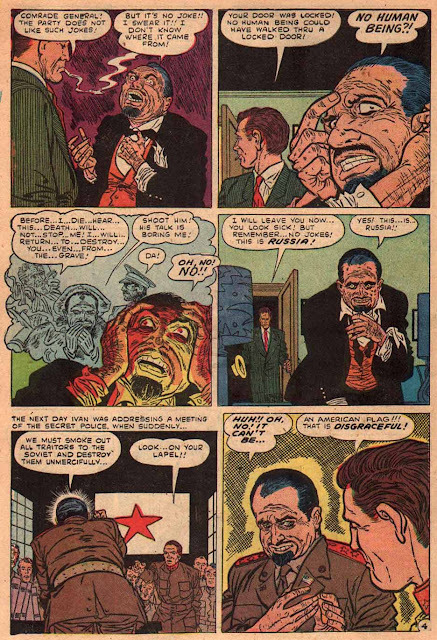 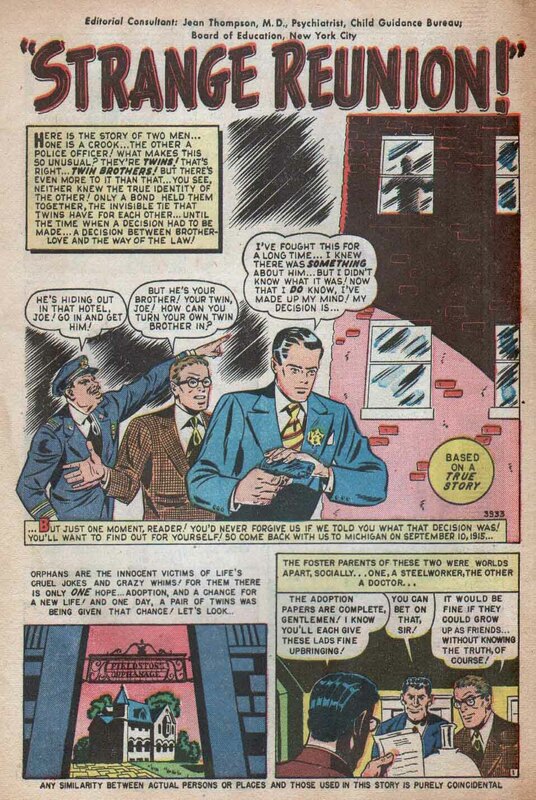 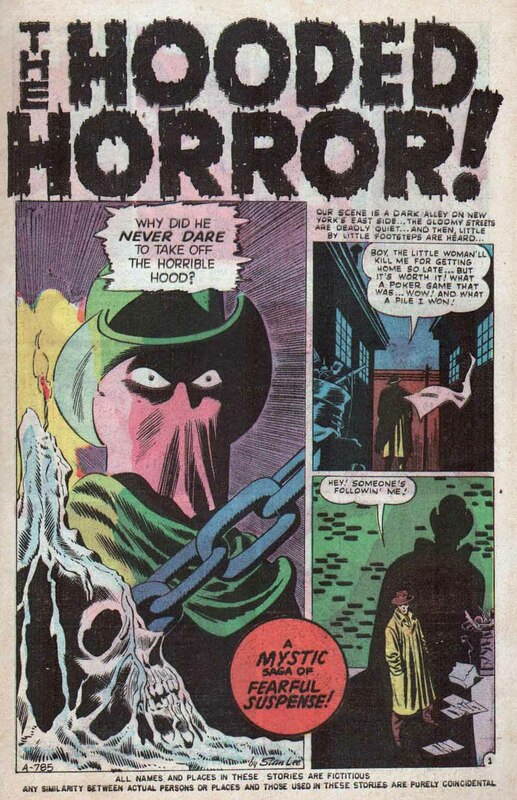 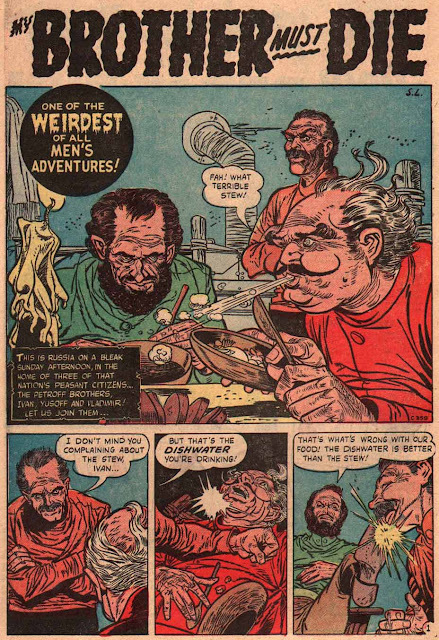 Almost like Kirby pencilled his own stuff very sharply whe he didn't ink it himself in the fifties. 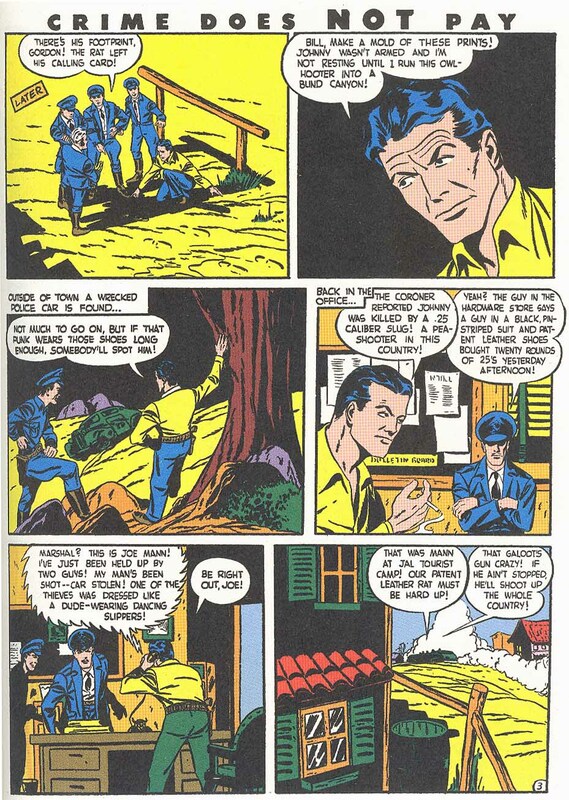 I never trusted Mike's Amazing World Of Comics dates as he doesn't reference where he got them. 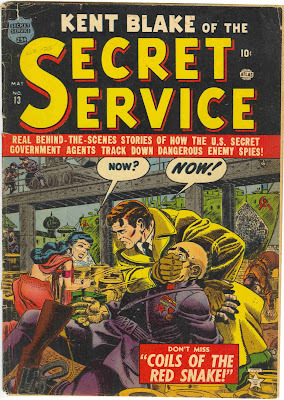 BUT, there is another source. Catalog of Copyright Entries. 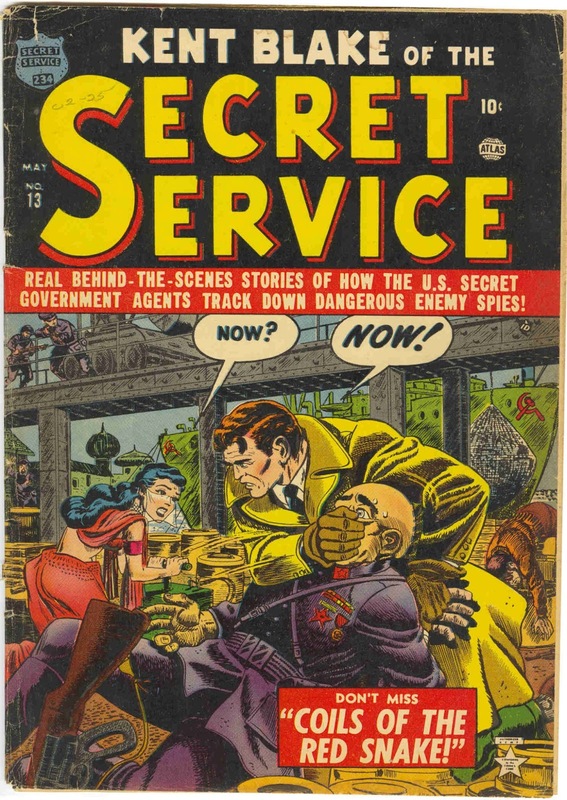 It is put out by the Library of Congress. 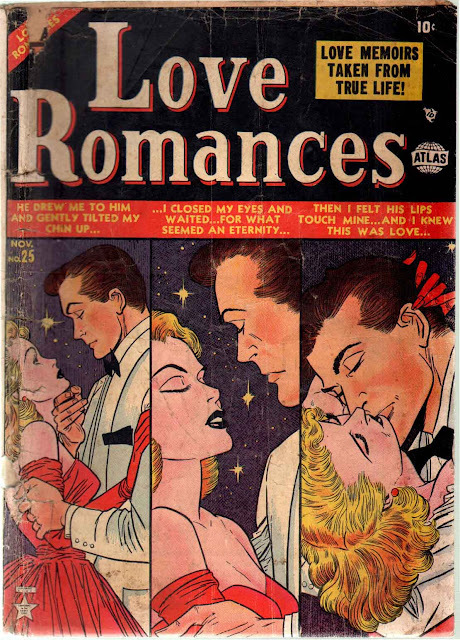 This publication "includes any printed and published copyright deposits"
with on sale dates, but I believe it is the official copyright date. 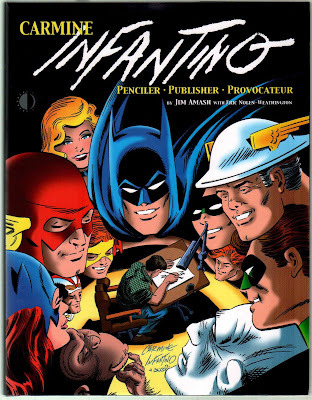 Thanks Tim! 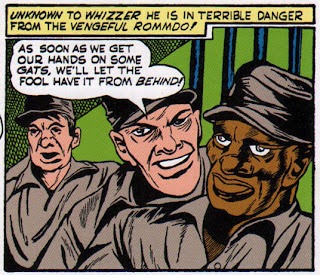 This is much appreciated. 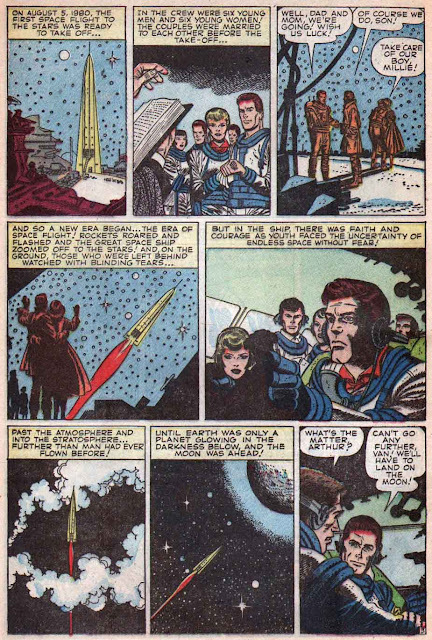 I've added the data into the post above as a second addendum. 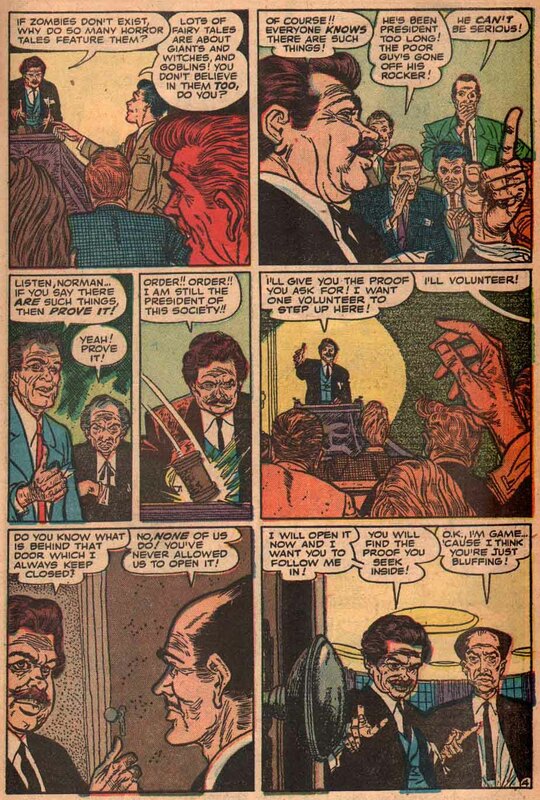 Looks like this debate has been finally put to rest and Cap #5 as Stan Lee's first story can be thrown out. 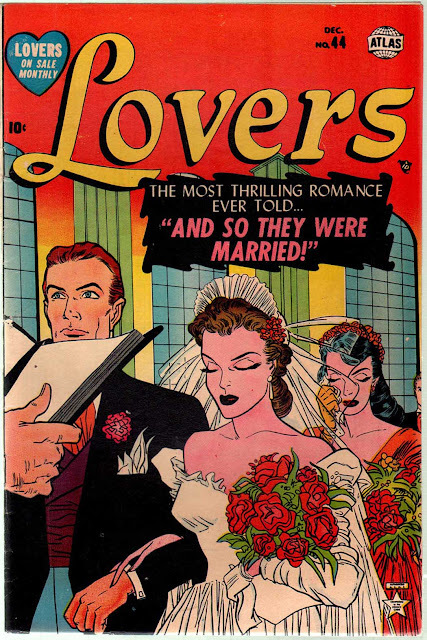 This is an incredibly informative and insightful profile. 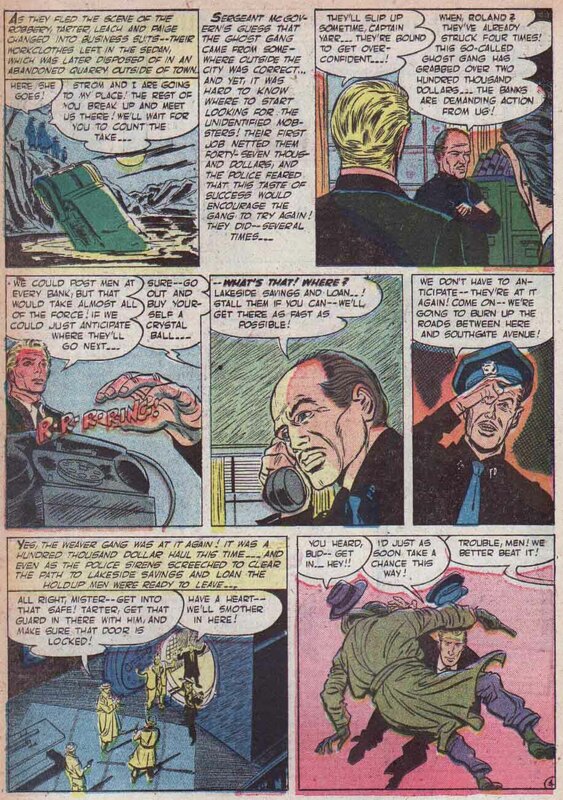 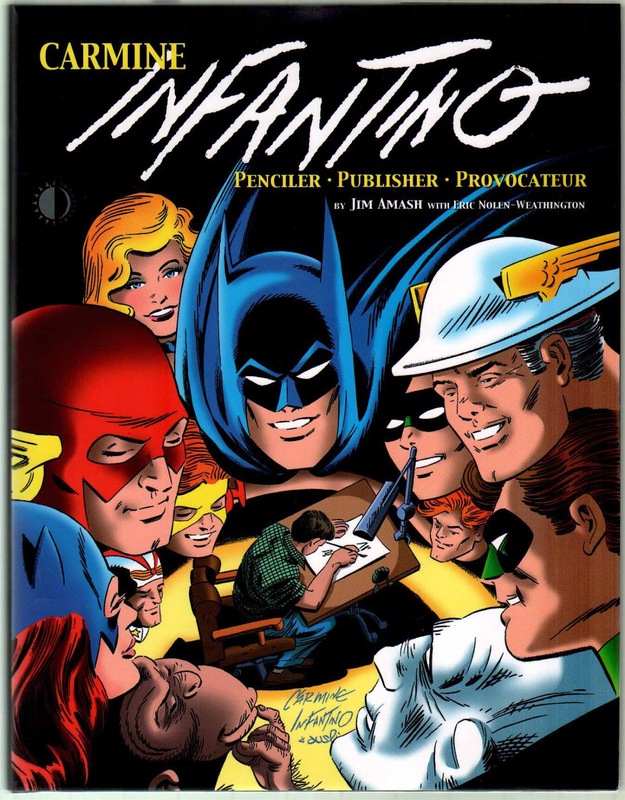 I knew that Infantino did a wide range of work but always associated him with The Flash. 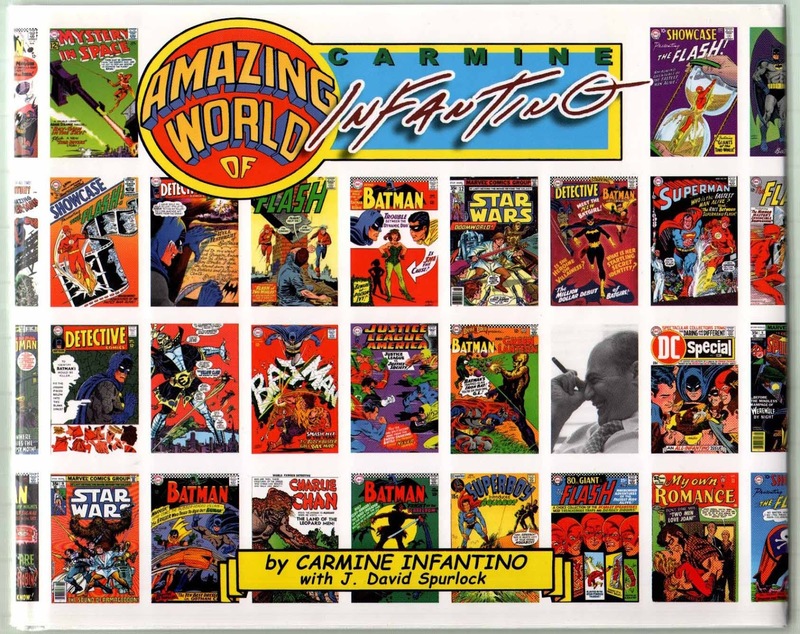 It is great to learn more about and sample his other projects. Thank you so much! 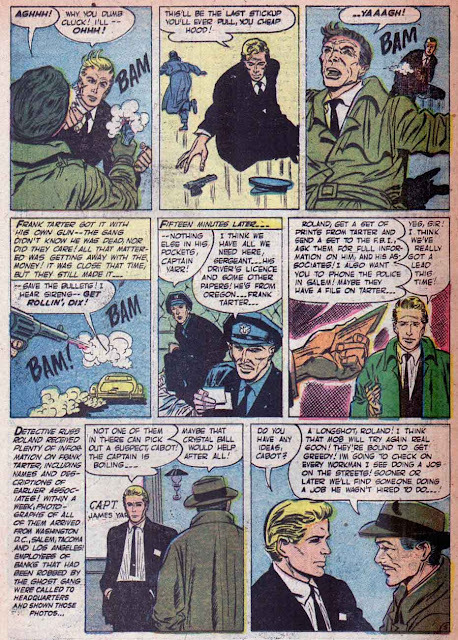 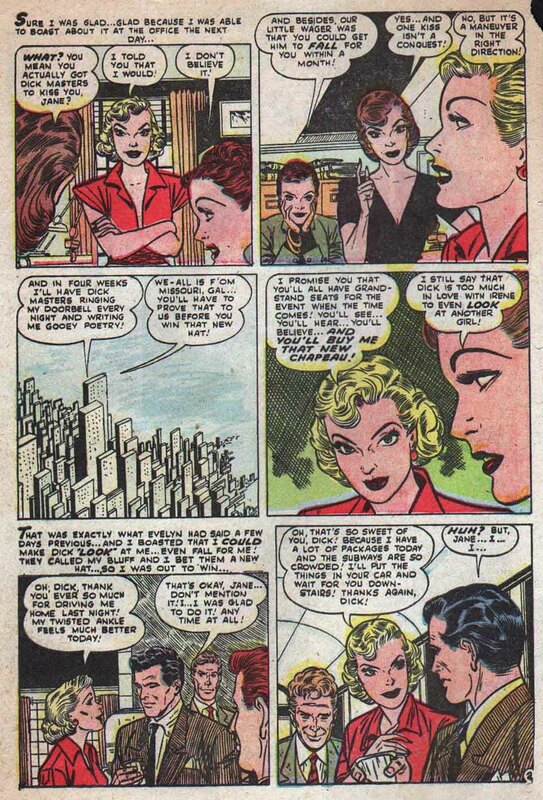 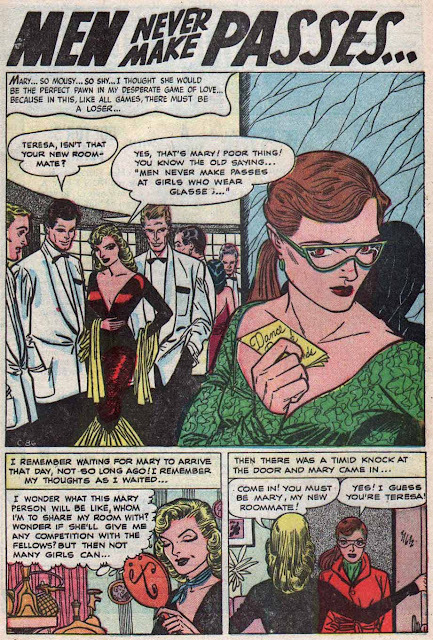 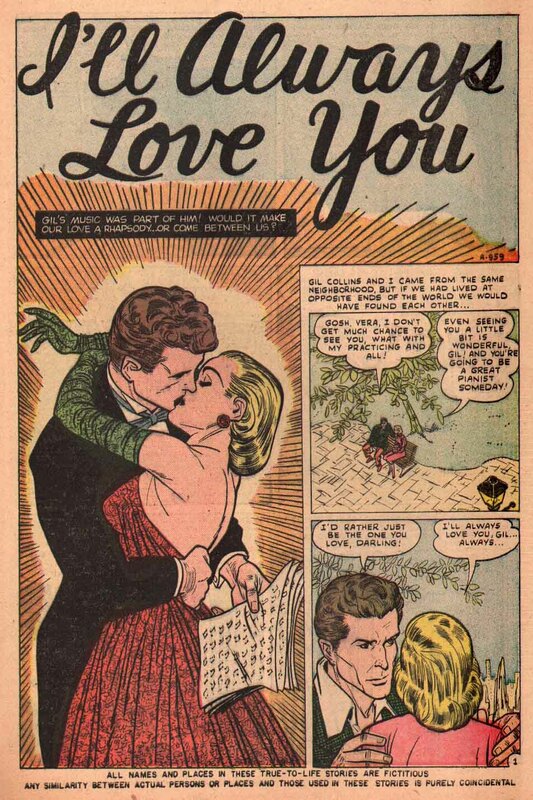 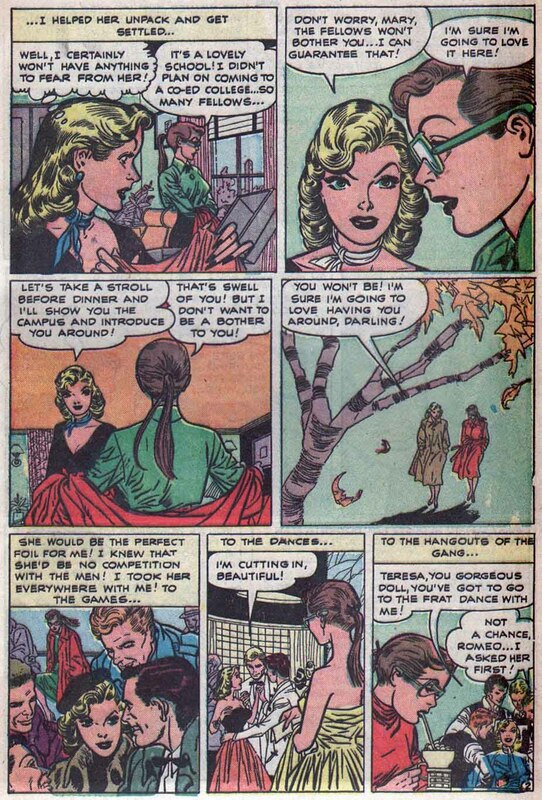 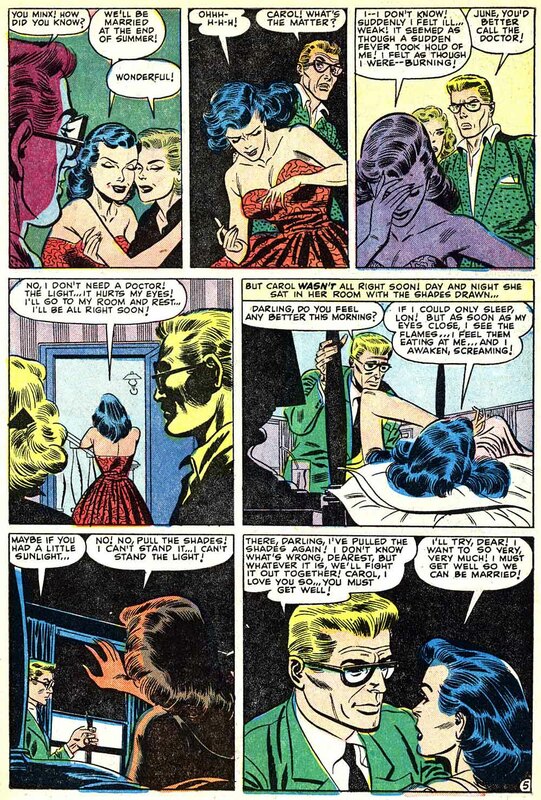 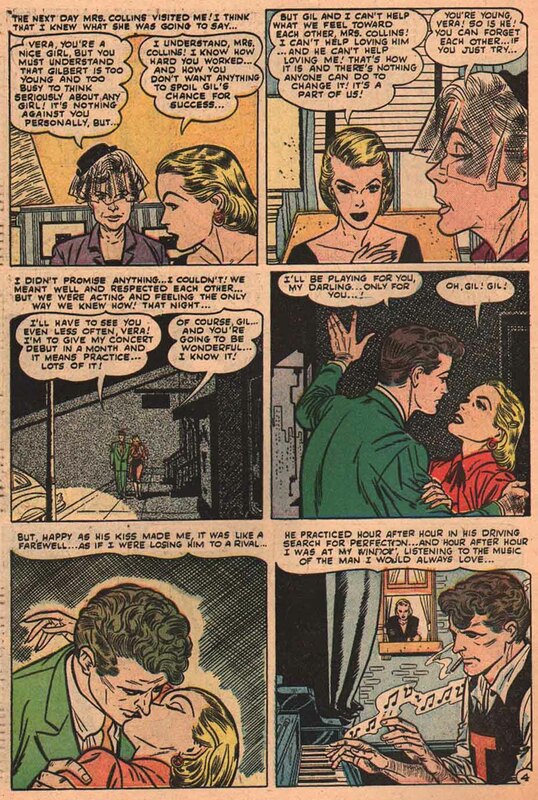 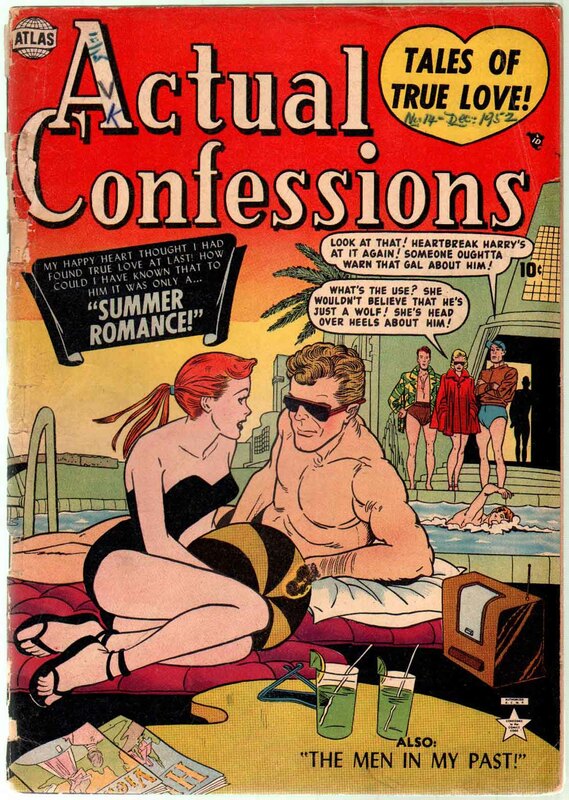 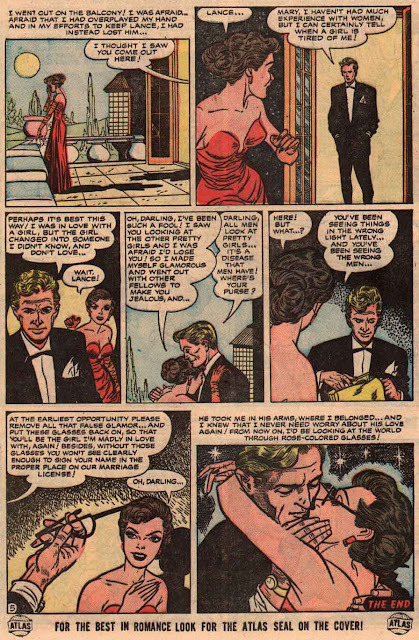 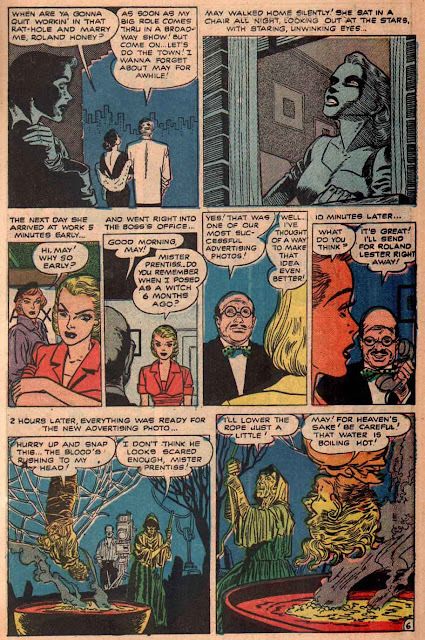 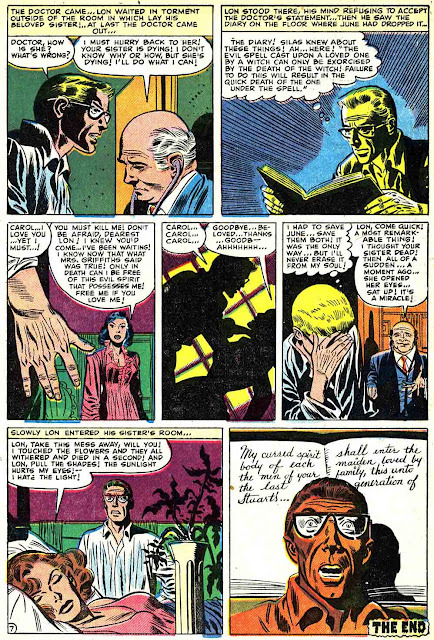 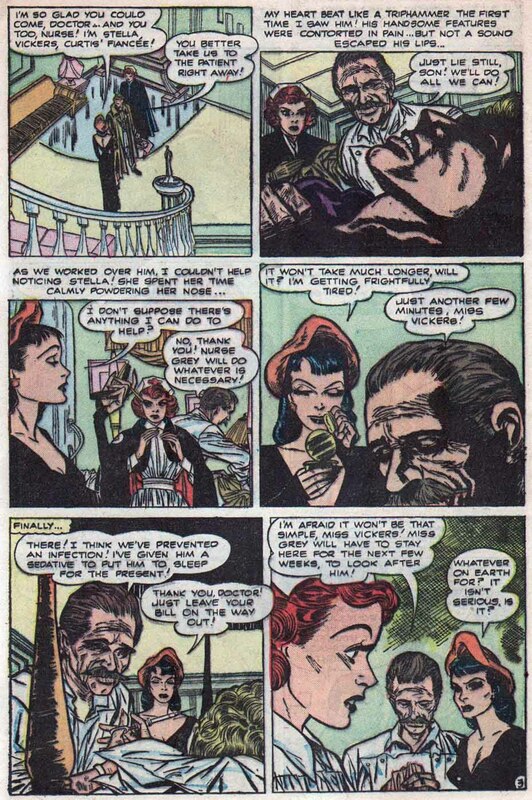 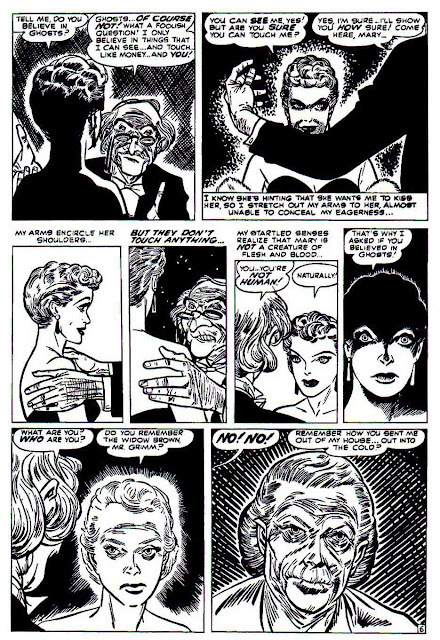 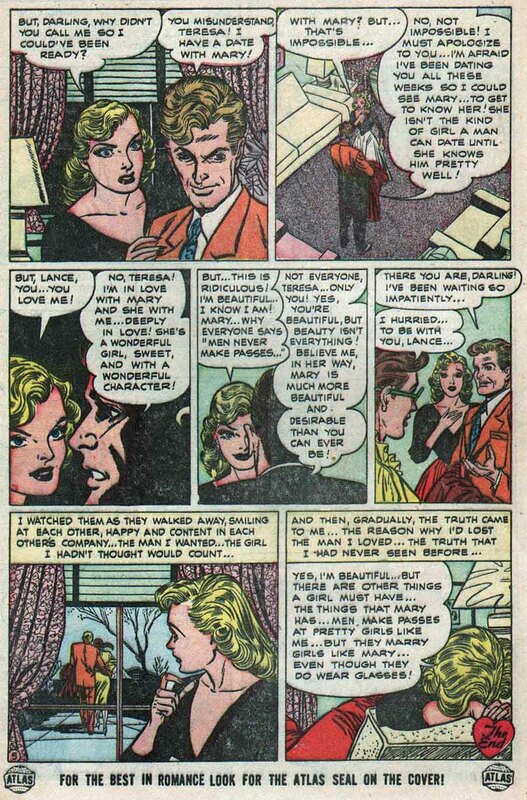 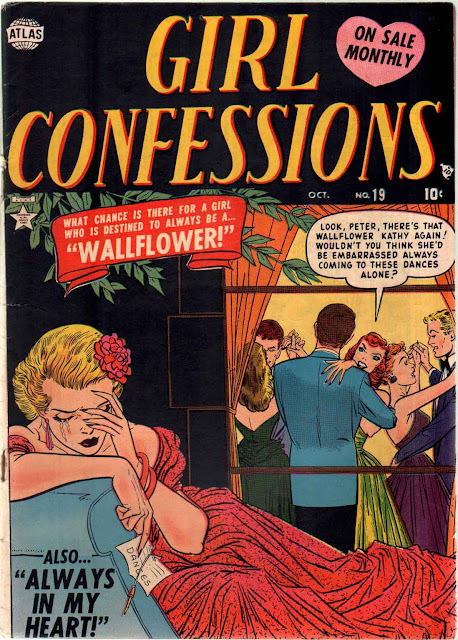 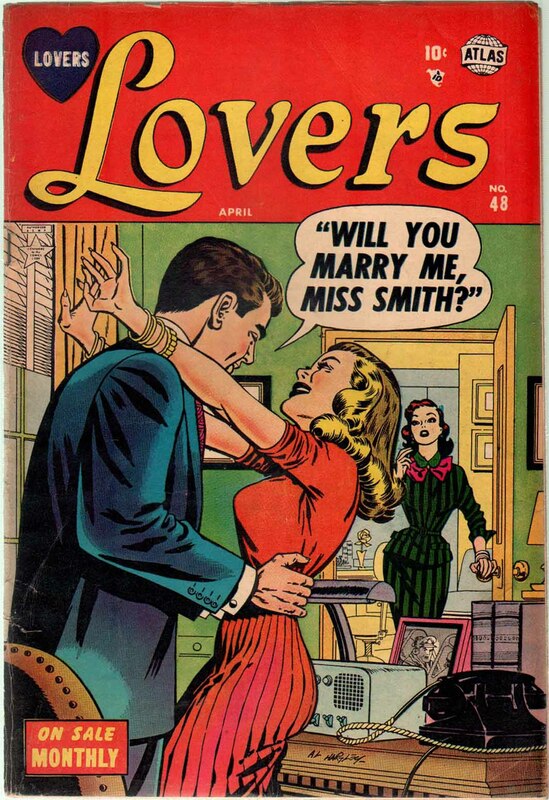 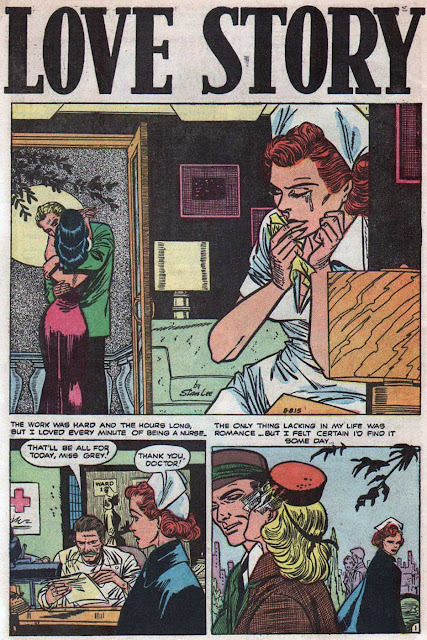 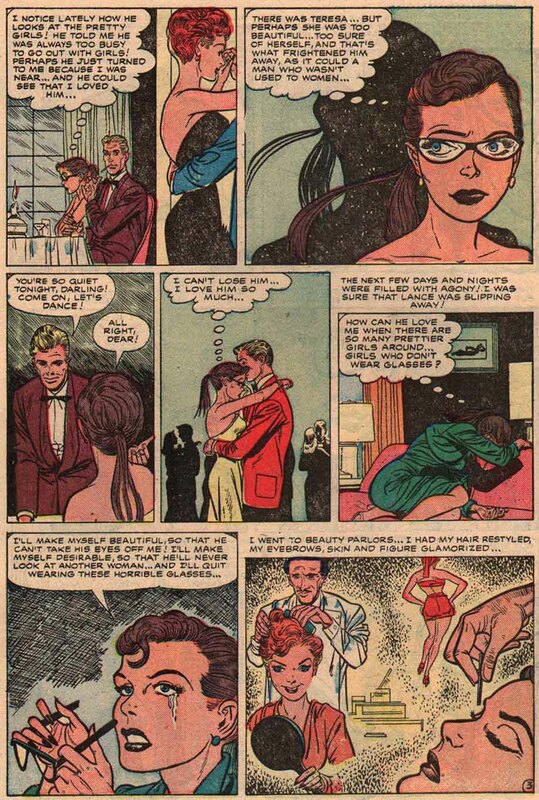 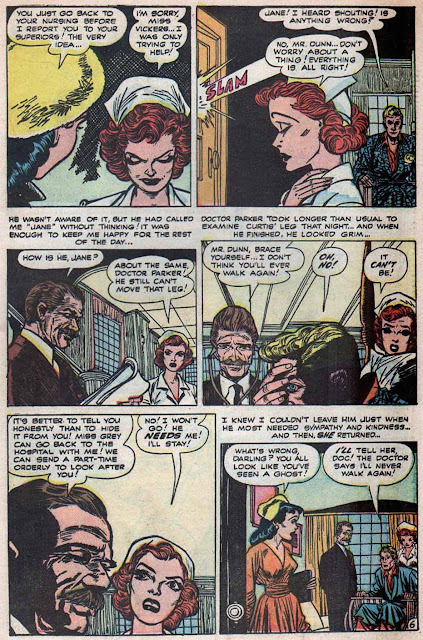 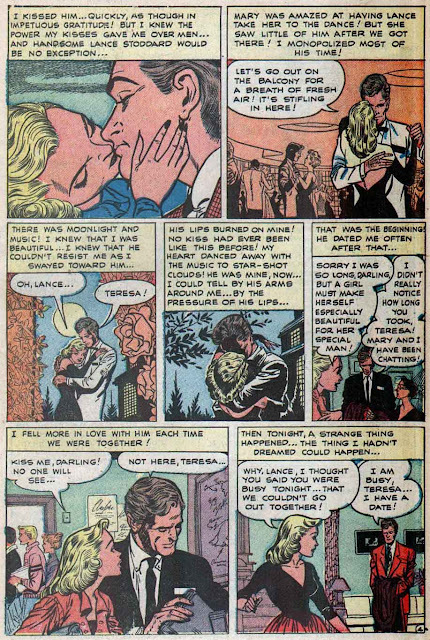 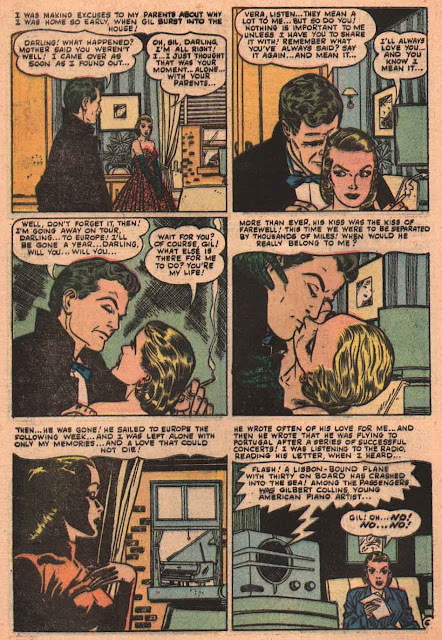 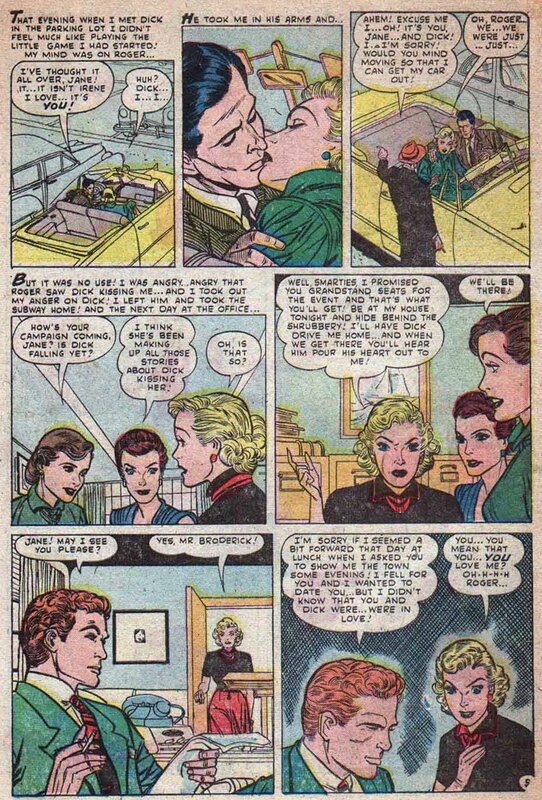 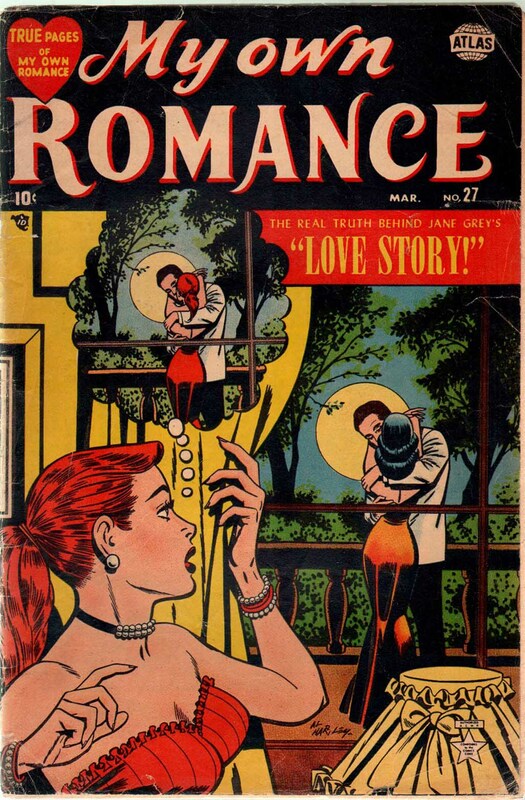 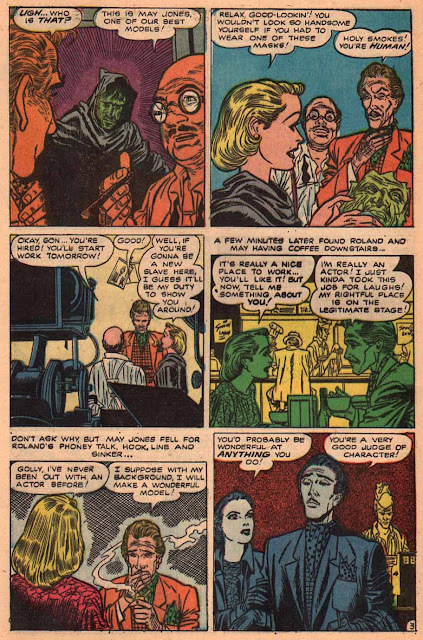 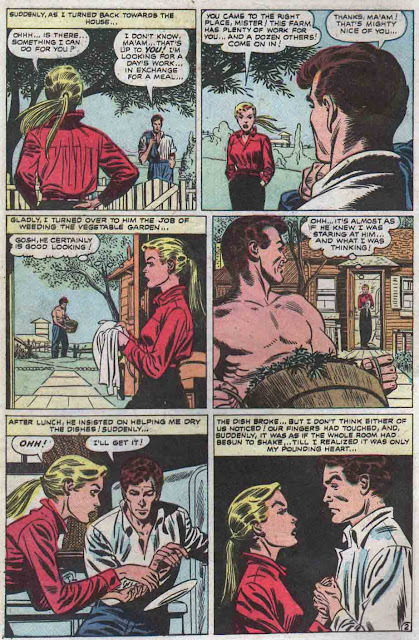 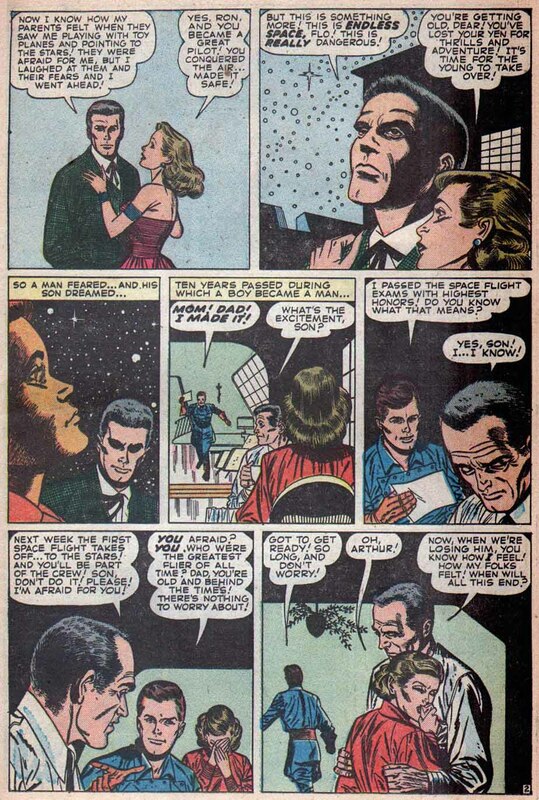 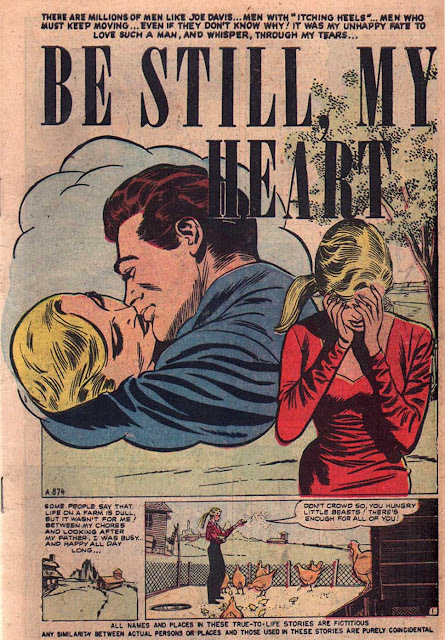 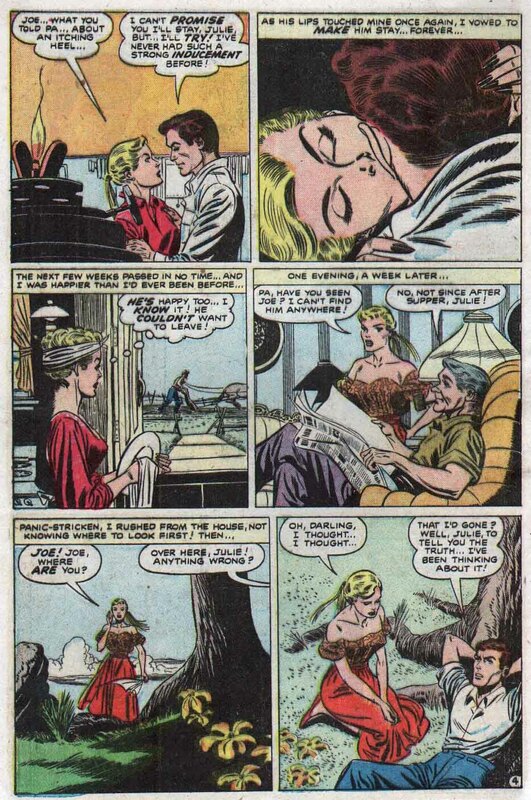 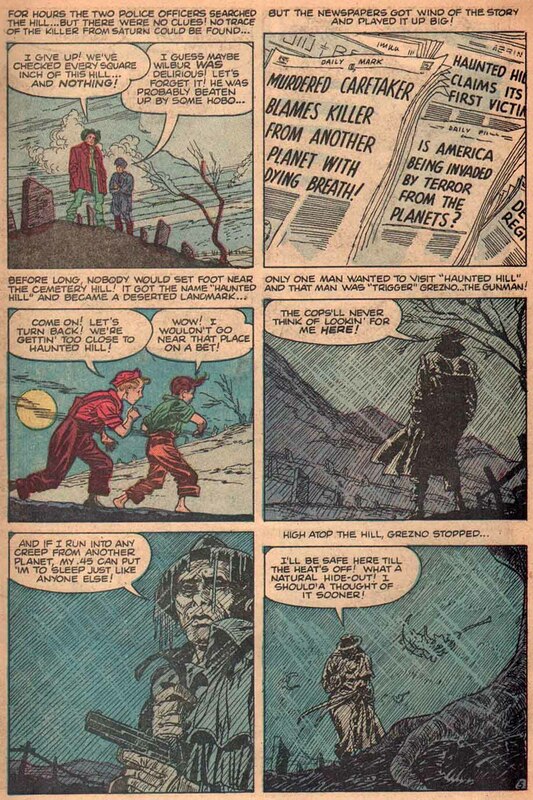 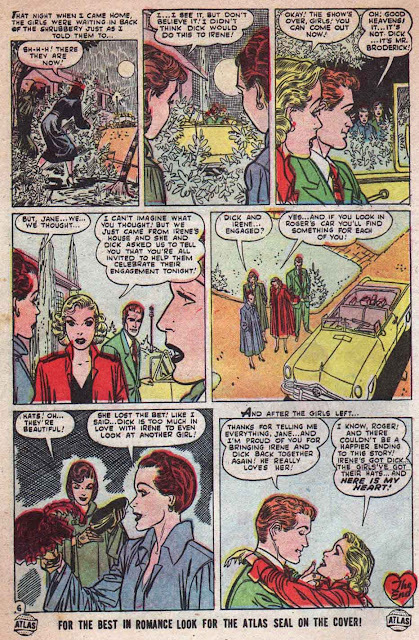 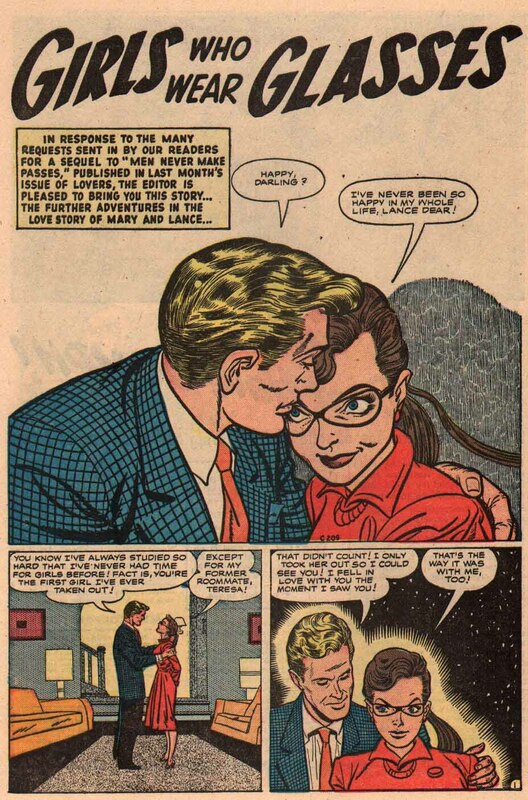 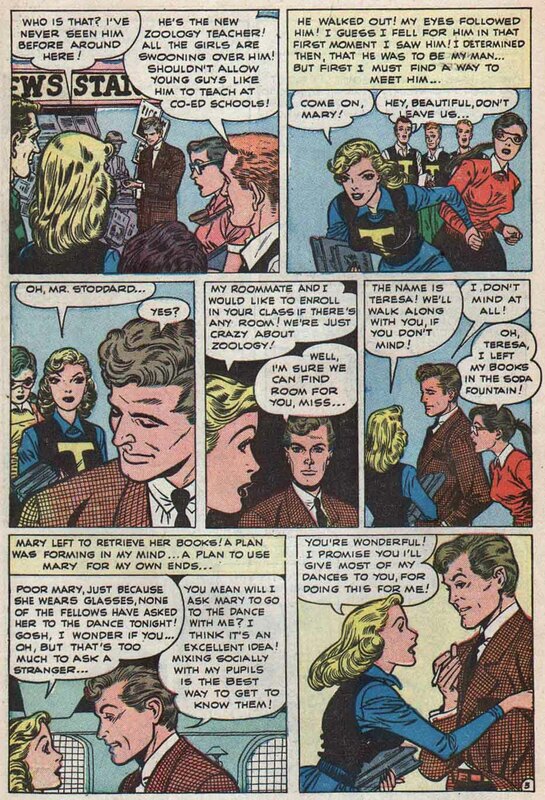 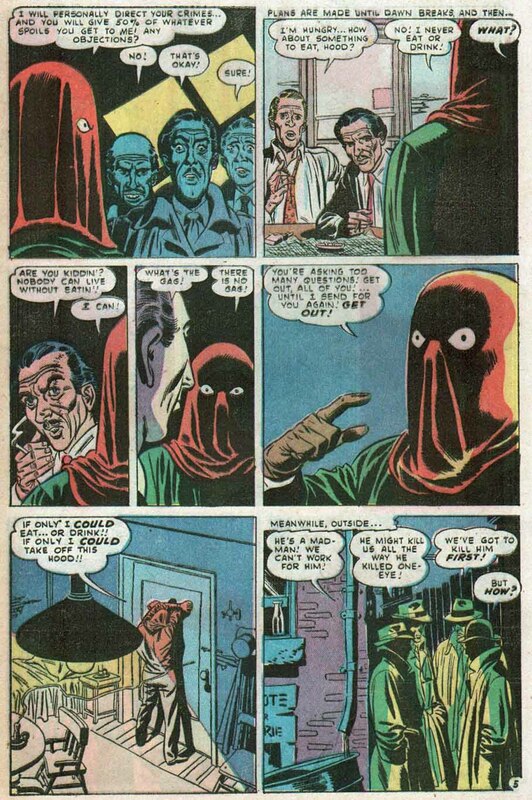 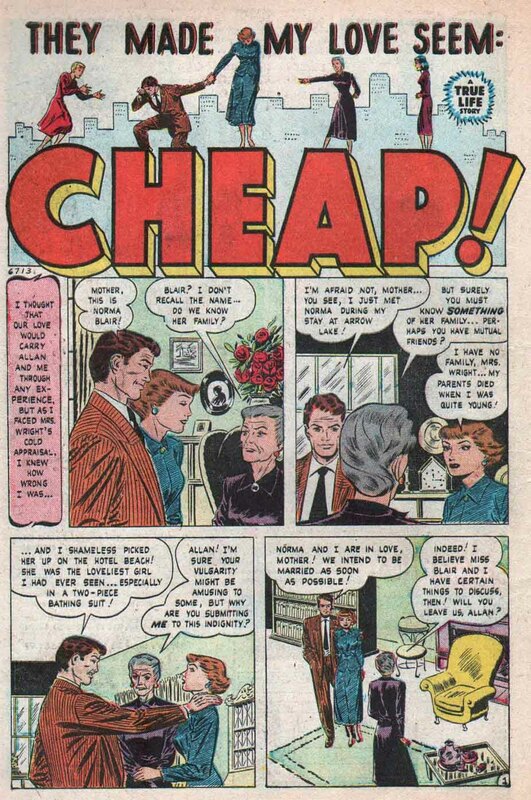 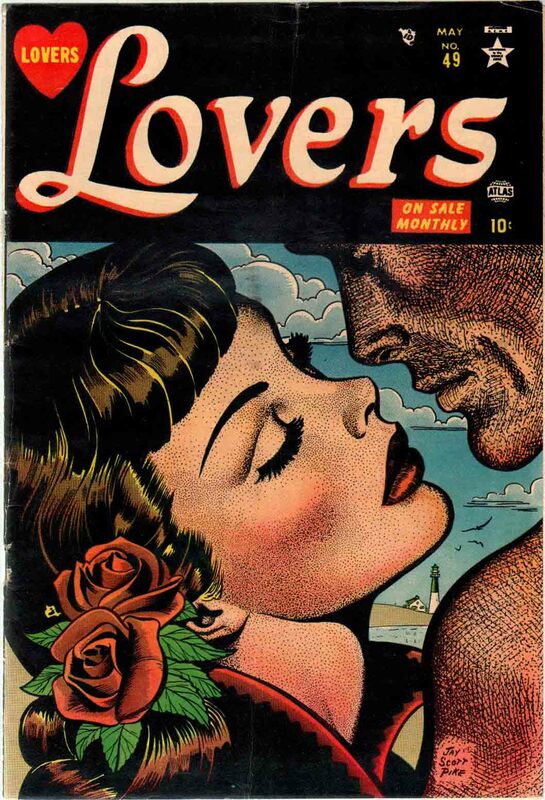 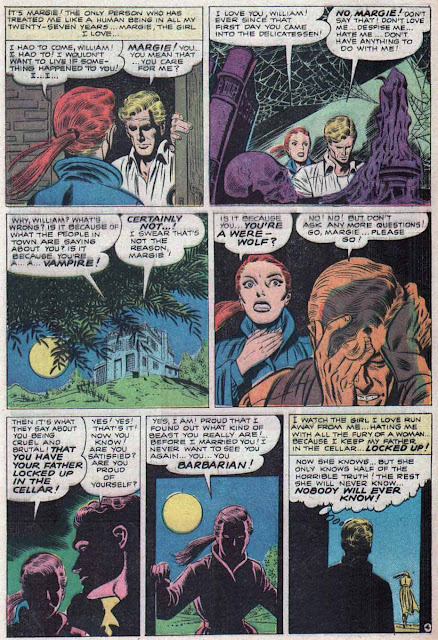 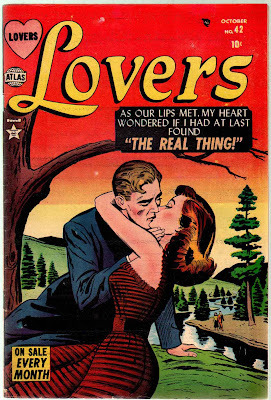 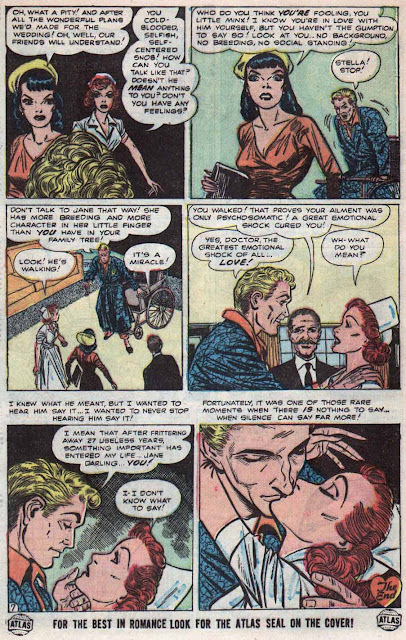 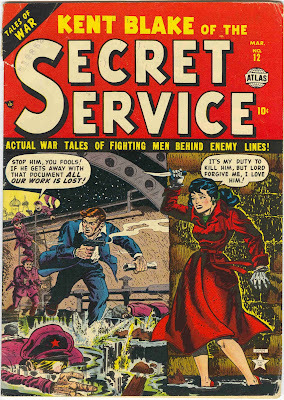 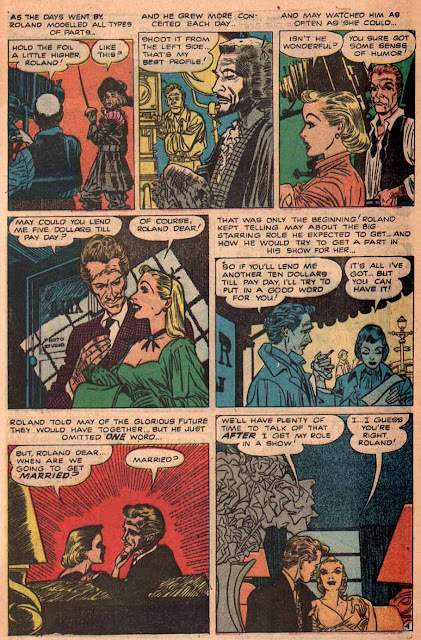 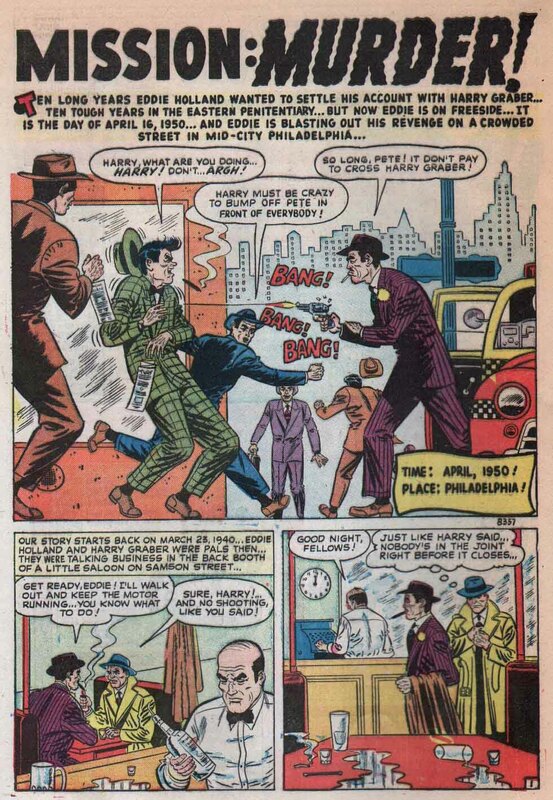 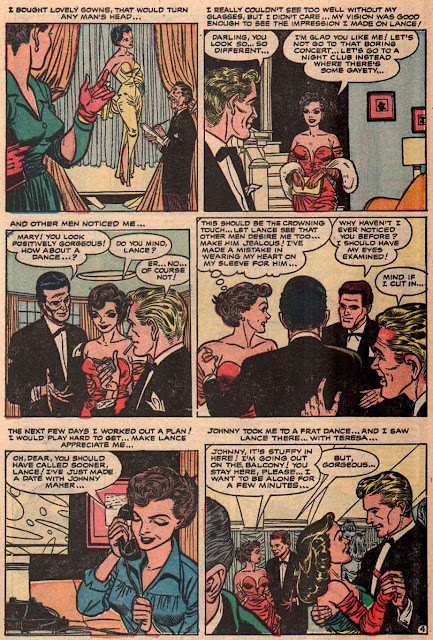 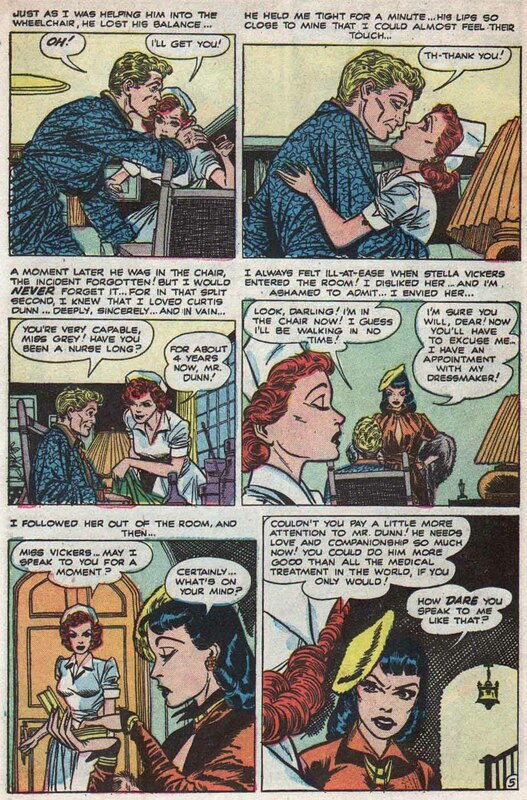 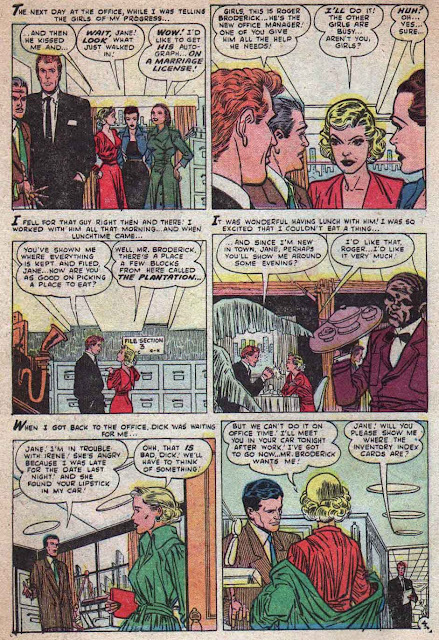 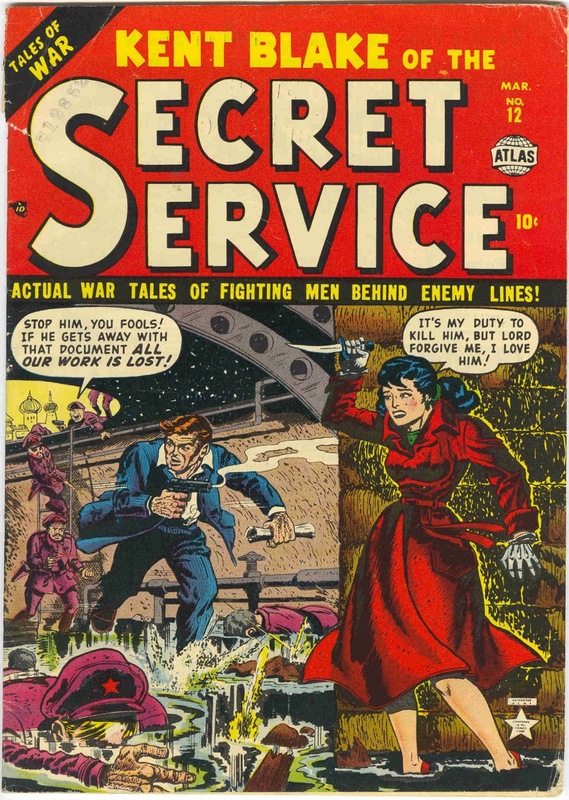 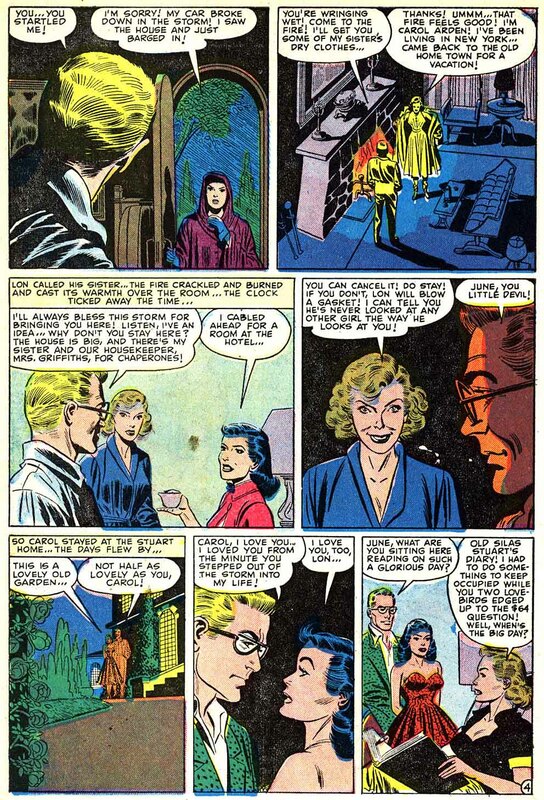 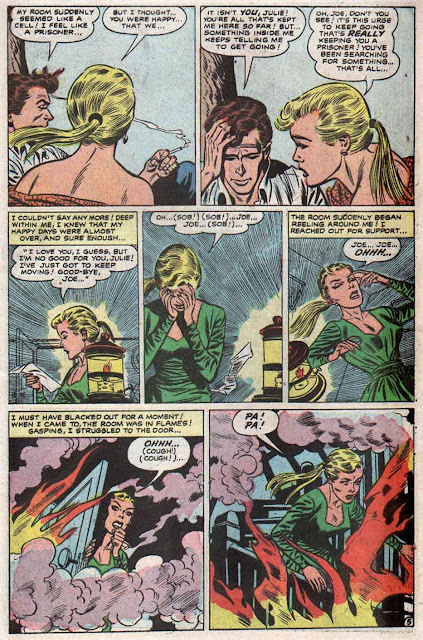 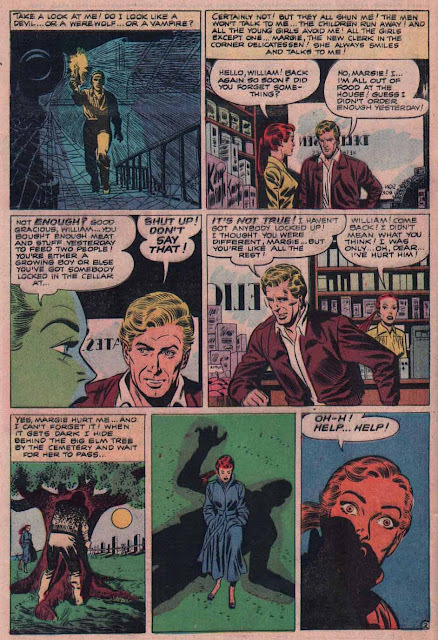 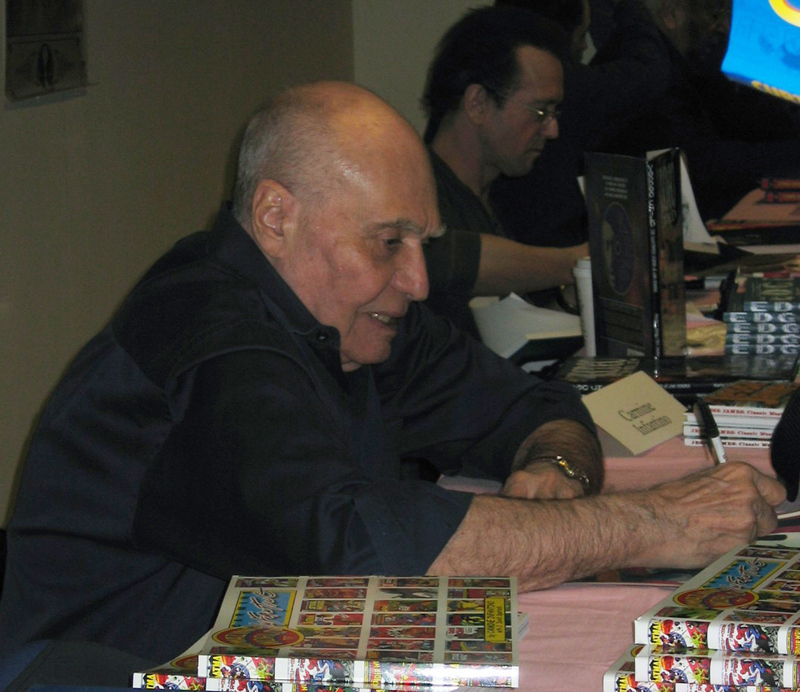 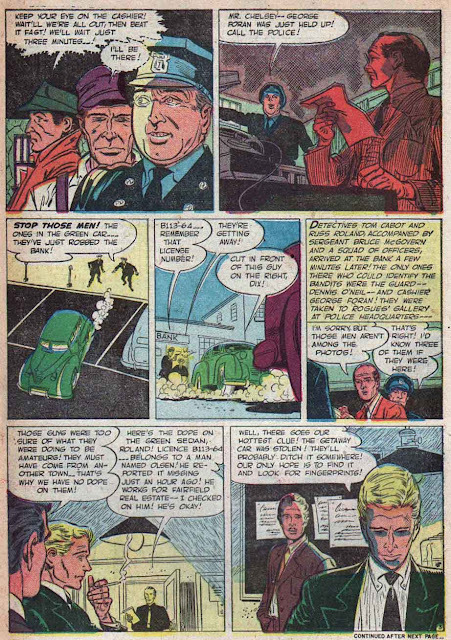 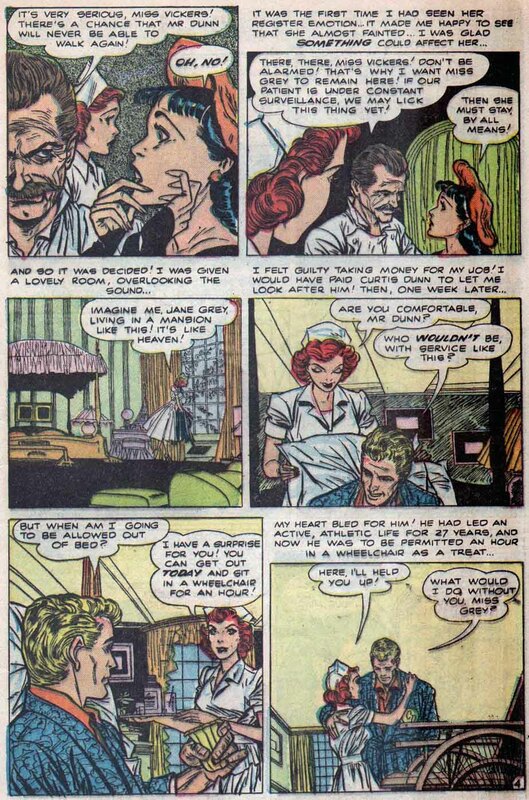 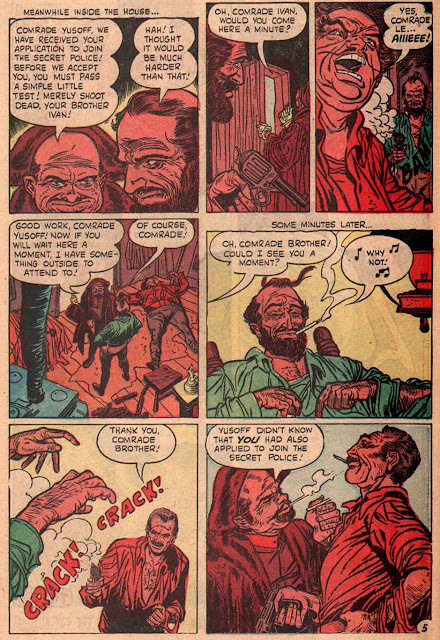 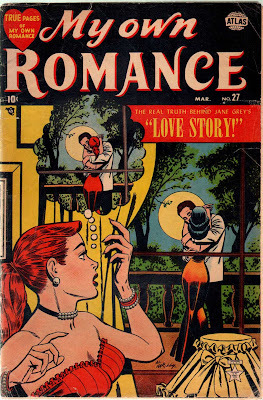 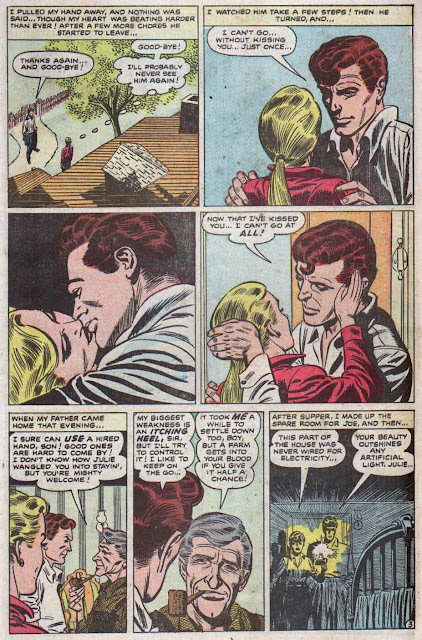 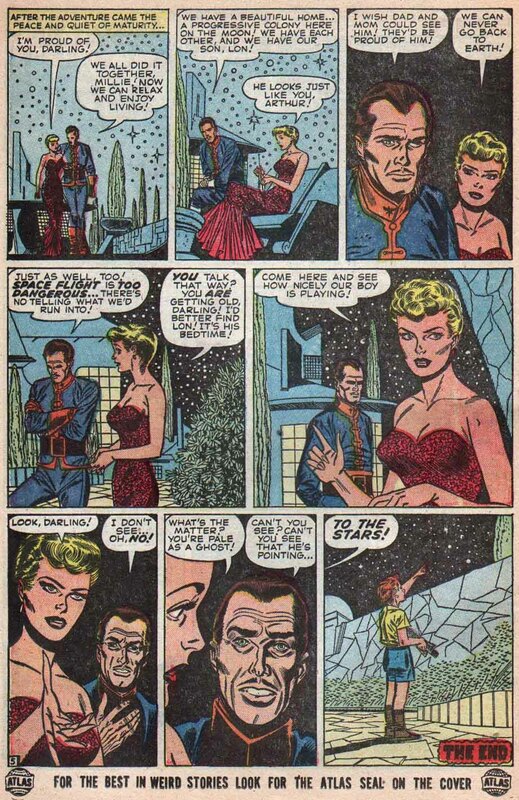 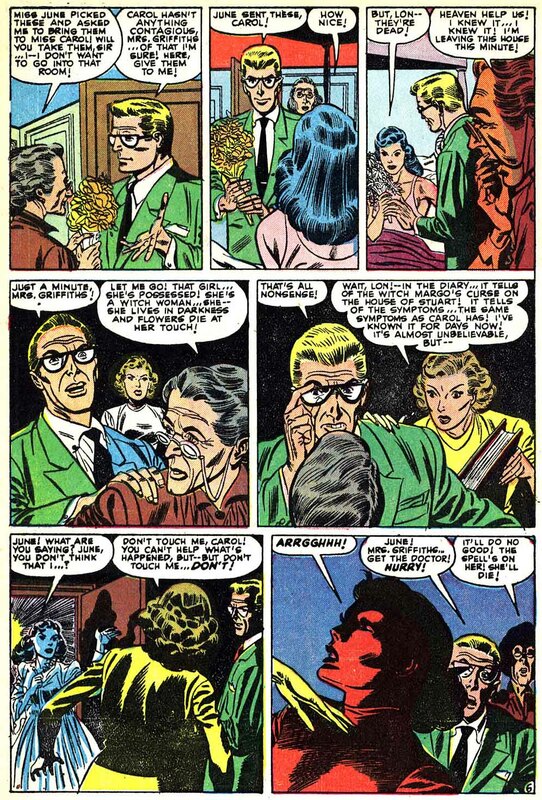 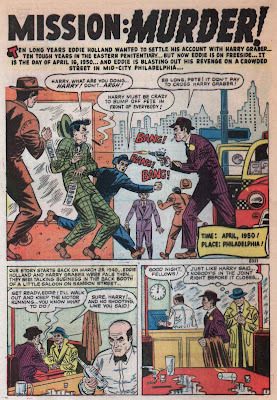 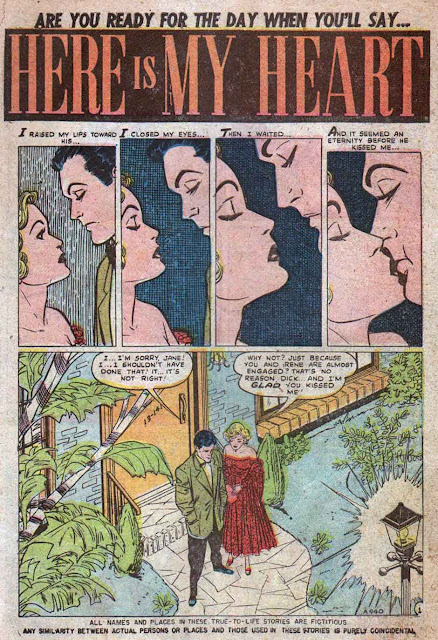 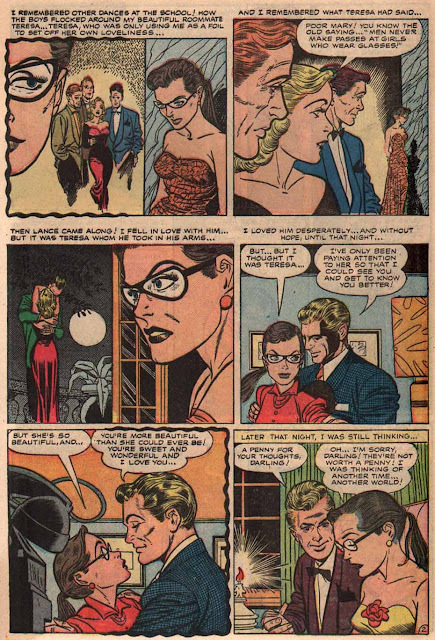 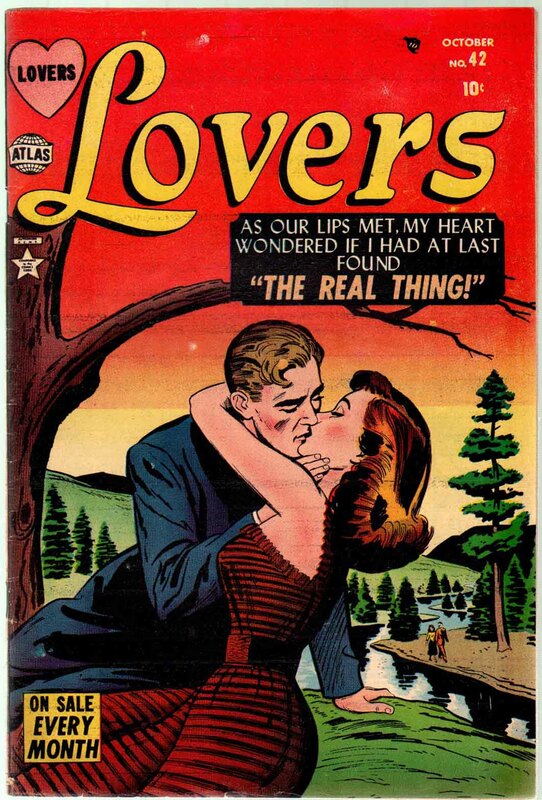 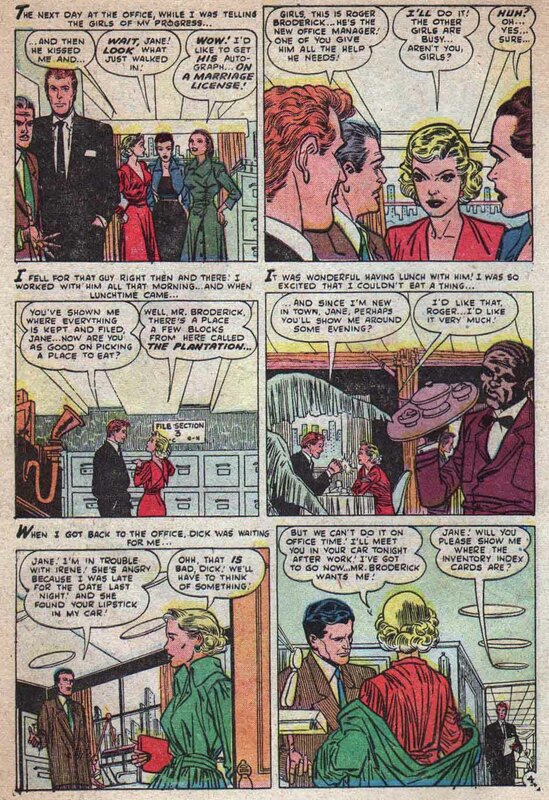 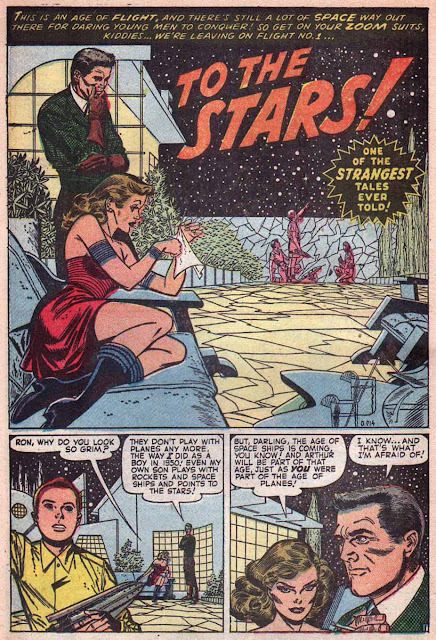 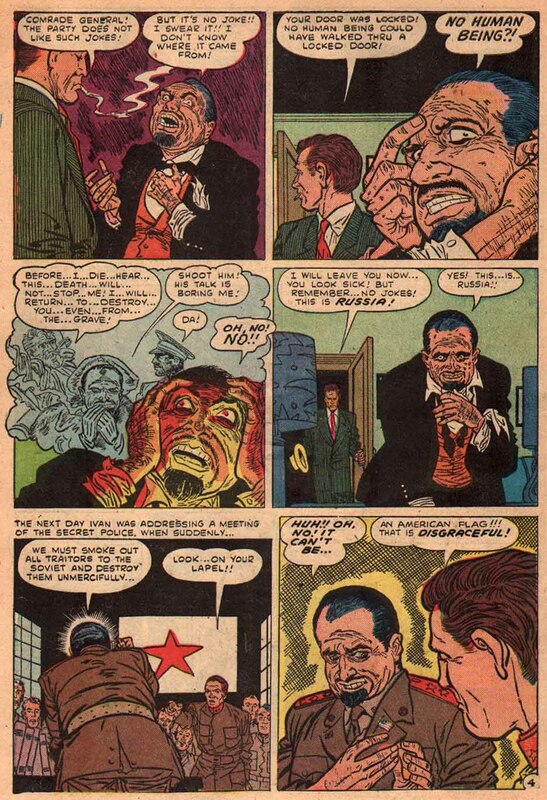 Regarding Mike Sekowsky, Al Hartly & Art Peddy in Lovers 49, can you tell me who did what story? I just got done scanning my copy of the issue and I am trying to update the GCD index.